You haven't seen something like this journal before... I can assure you that. I have been gone from City Journaling for three months now, looking at several city journals from several websites. 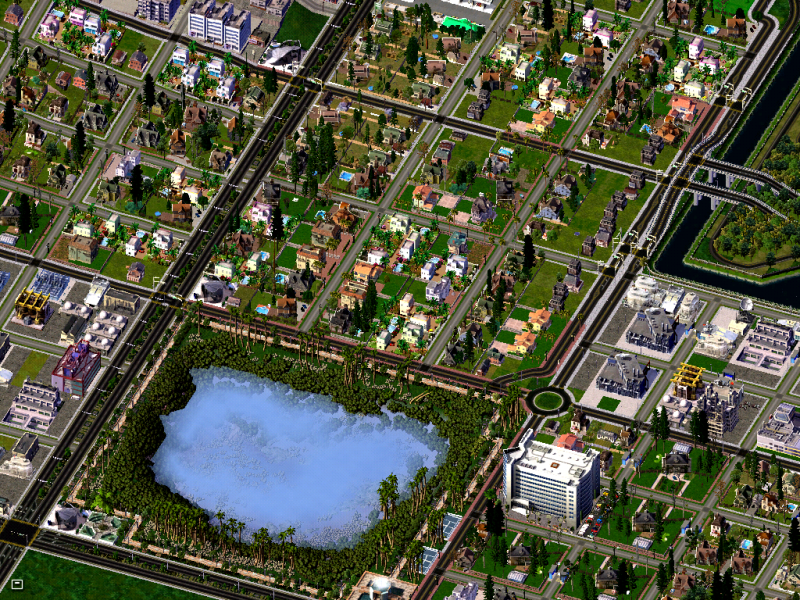 Today, I present you with my new region, New Chandler. 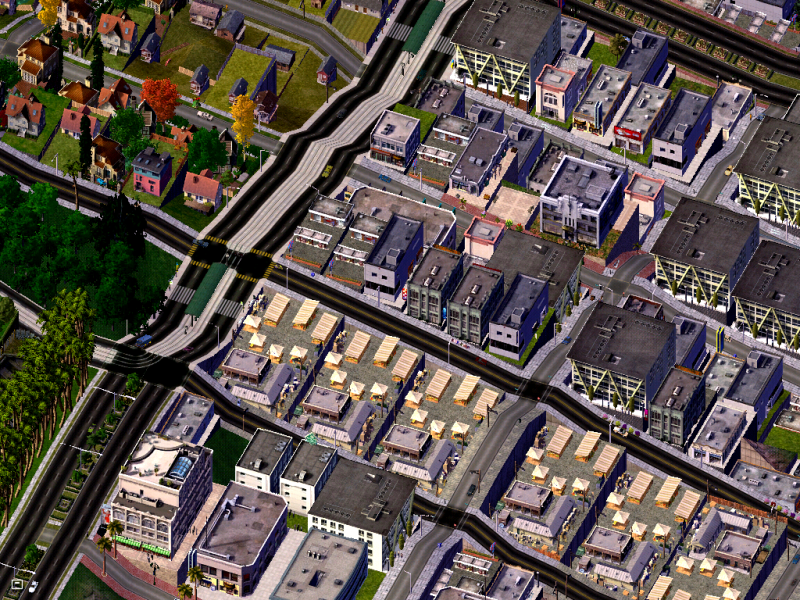 Areas in New Chandler will be built differently than each other (I have one area that will be natural growth, I have one area that will be very much based on user voting, etc.). 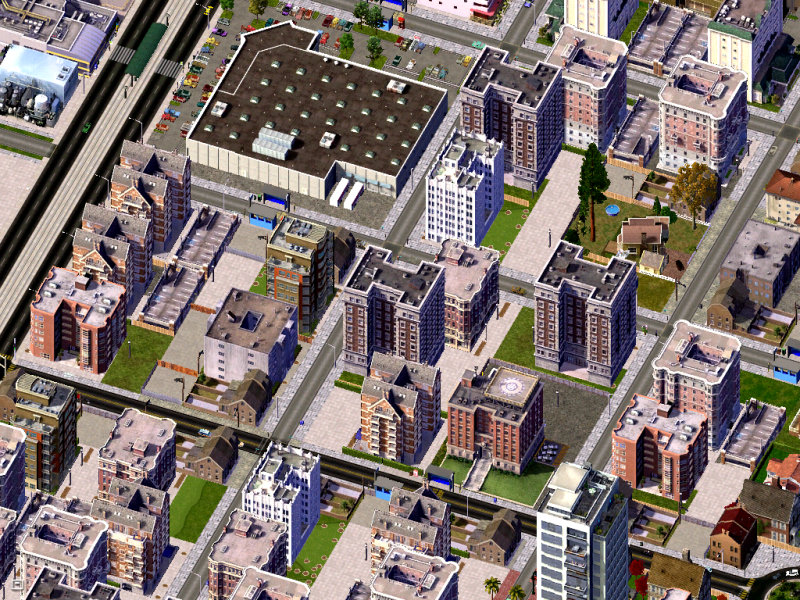 Some are built off of the design of cities I have visited in real life (New York and Los Angeles are good examples for some of these). Some are built off of inspiring journals I have seen here (Greater Terrain Region, Dream of a Summer Holiday, even a dusty Jargeah in some places). And some are just combinations of these I think might fit together. Alright, but why will New Chandler be different? 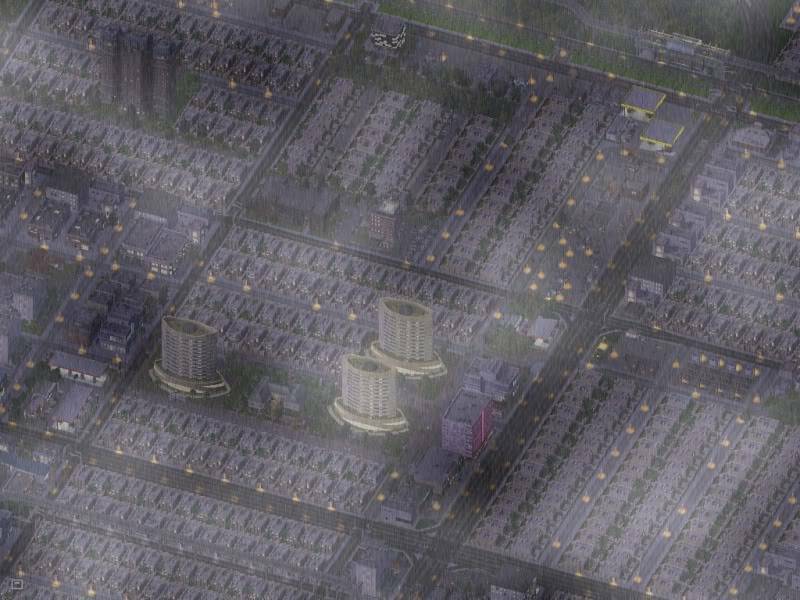 First of all, I can't confirm this, but it would be the most presented city journal in SimCity 4 history, with five different places New Chandler would be shown (Simsports, CSGDesign Forum, Simmania, Simtropolis Forum, Simtropolis CJ Section). 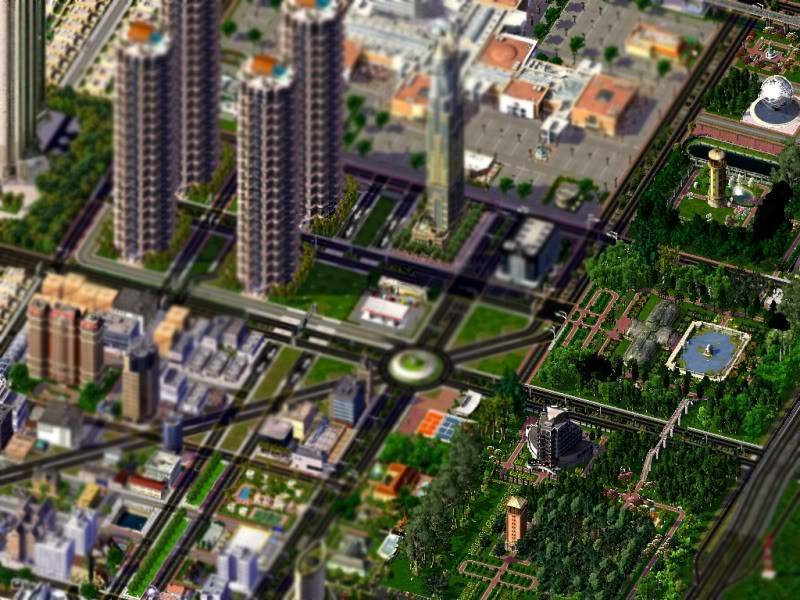 Plus, I am releasing a short story group in a few months after I expand New Chandler a little more on CSGDesign Forum and Simtropolis CJ Section, which would be seven different places you could find New Chandler. I am currently deciding on what union is most fitting for New Chandler, and, if accepted, New Chandler would be at six locations with eight individual journals. But what does showing New Chandler so much do to the viewers? First of all, more views most likely means more comments, which means more feedback for me. This can make my journal better and more enjoyable for you to enjoy! Second, when I will occasionally poll for voting, you will get an unmatchable voting experience, with lots of votes to make an easier and more powerful consensus. You could feel more involved with this journal. I hope my journal will be worth reading and following; I hope you will like what I have for you. 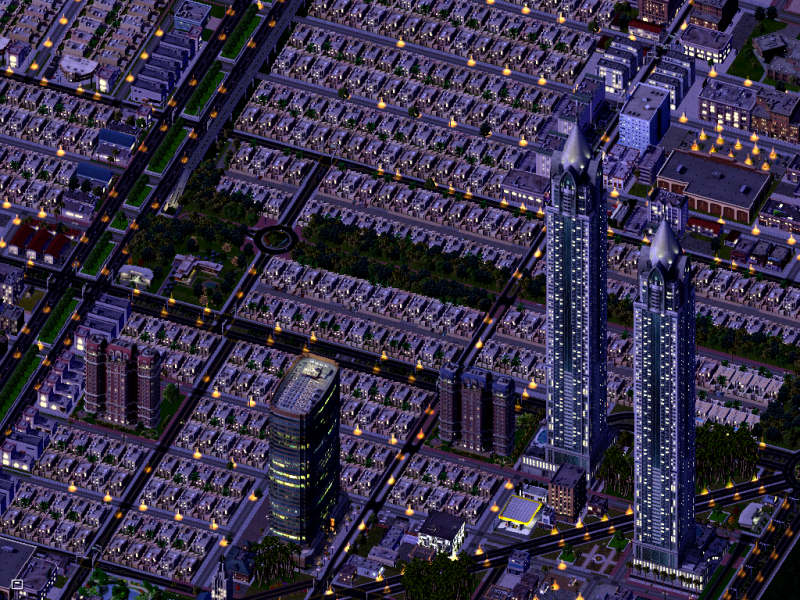 On the headers, you will be able to see the current population and the status of the region being completed, so you can be informed on the growth of New Chandler! Also, about the headers, they use tropical pictures of tropical plants. I have planned it so none will be ever alike. 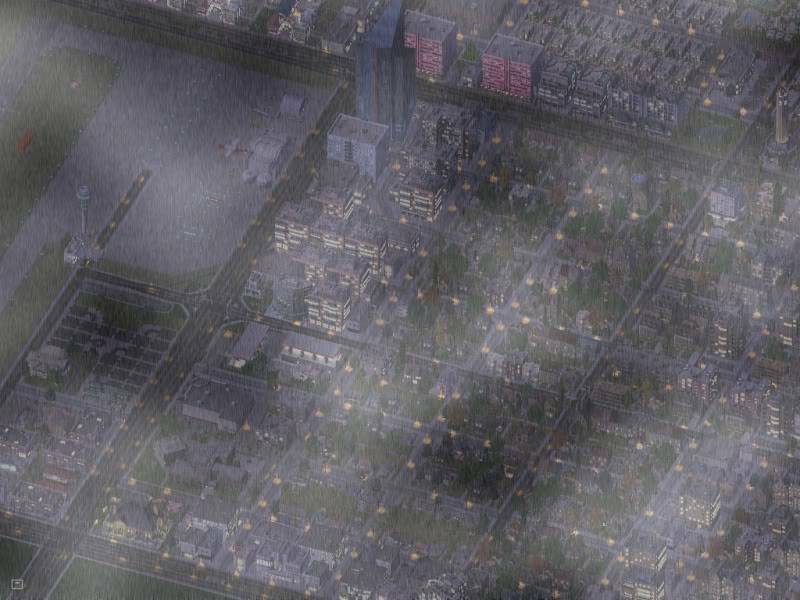 I might occasionally substitute it out for a picture of the city, but that is yet to be decided. All pictures were took at the National Botanical Garden in Washington, DC. 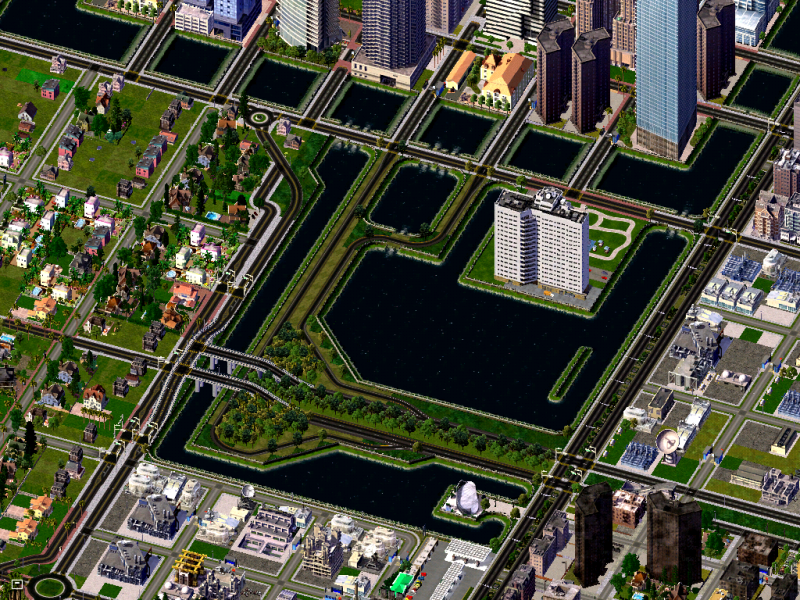 The entire city of New Chandler is being built off of a subway system. 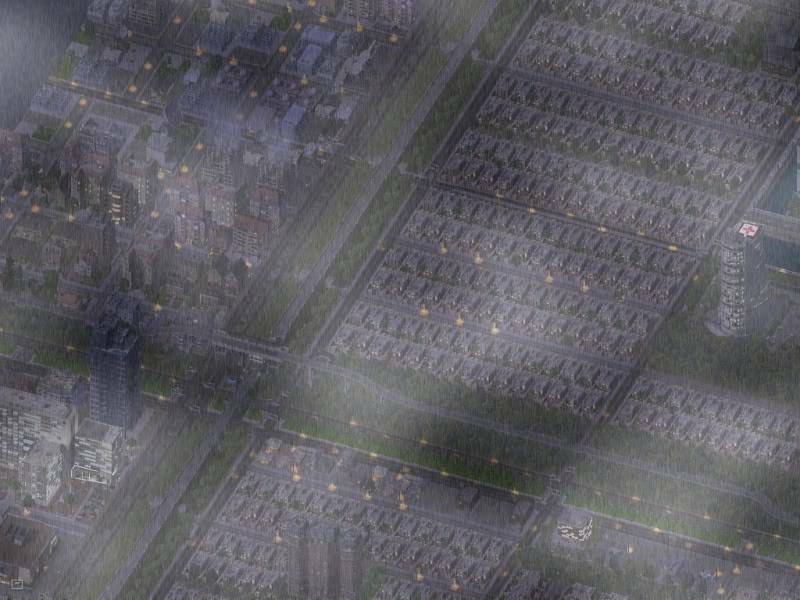 The subway system, when finished, will have 14 lines, seven of which have express trains, which would really mean 21 lines, which would be one of the largest mass transit systems in SimCity 4. 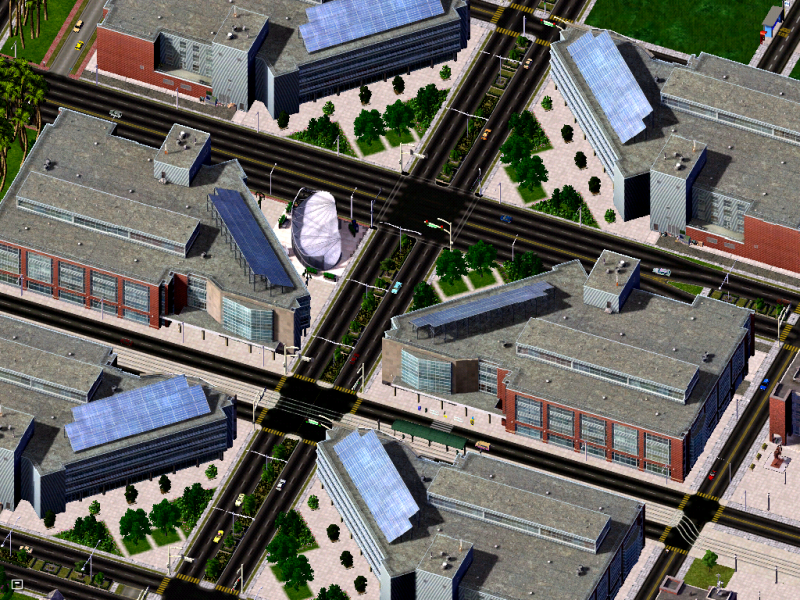 The city of New Chandler will be built off of 9 full city tiles, and three halves of other tiles. 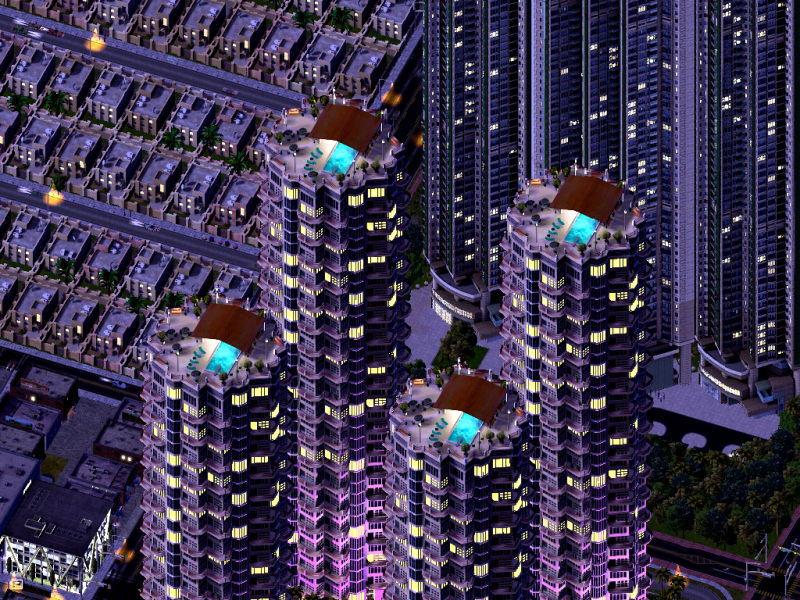 I have hacked my game so all of my tiles are large. There is no dirty or manufacturing industry in the region. There never will be. 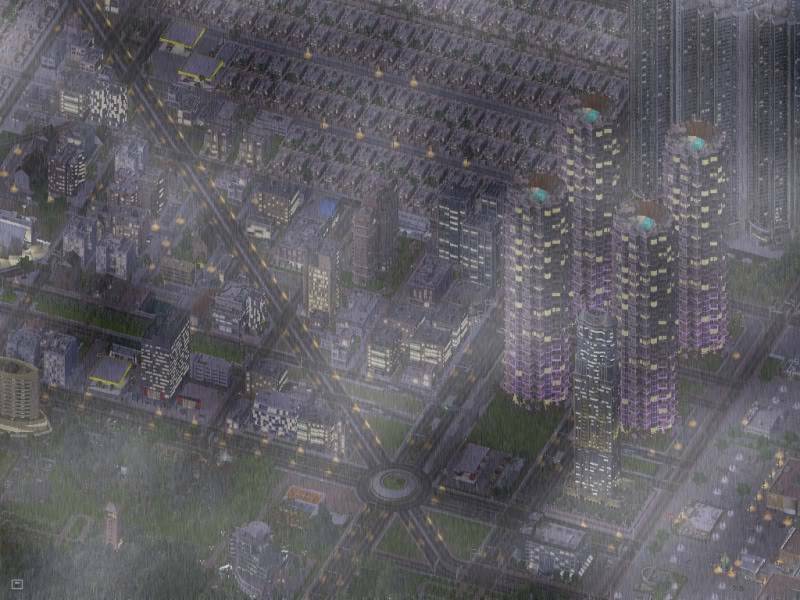 Since this is a tropical setting, it will mostly be agriculture, except in cities, where it would be high tech. New Chandler competes in the summer and winter Simlympics. Since there is no snow in New Chandler because it is in the tropics, there are two indoor ski areas, and an ice hockey/curling/speed skating center for training purposes. New Chandler is the host of the 15TH ISC Session and plans to bid for the XIV Summer Games in the future. 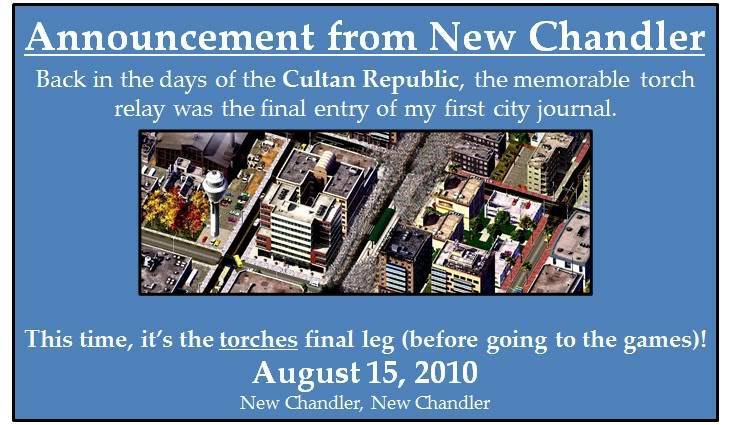 New Chandler also hosts preliminary tournaments and torch relay legs. They have competed in the Simlympics since February 2010 (although in Feburary 2010 and May 2010, they were represented by the Cultan Republic). I will upload documents related to New Chandler here. Check back here frequently because stuff may be added quickly. If there is a link to something that doesn't have any relation to what I said it was, or if something doesn't relate to this city journal at all, please tell me immediately so I can change it. 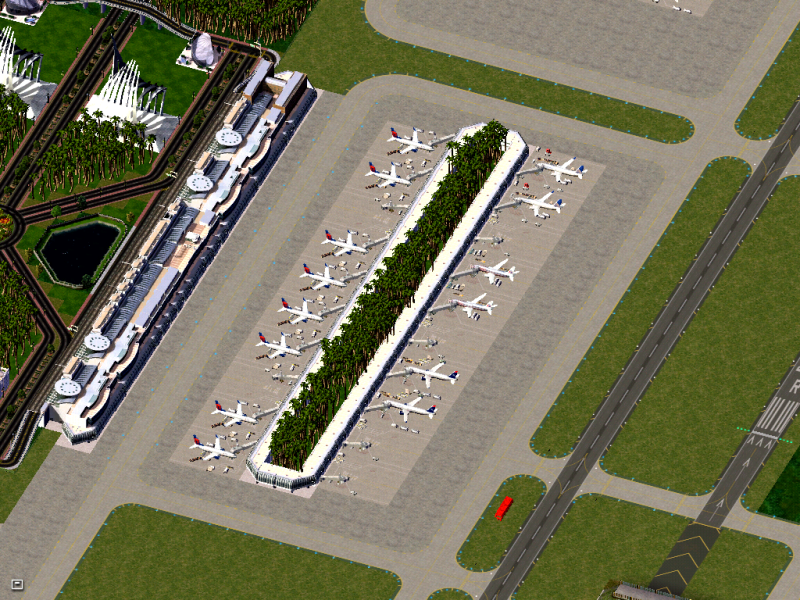 Transcendenta International Airport is by far the largest airport in the country. 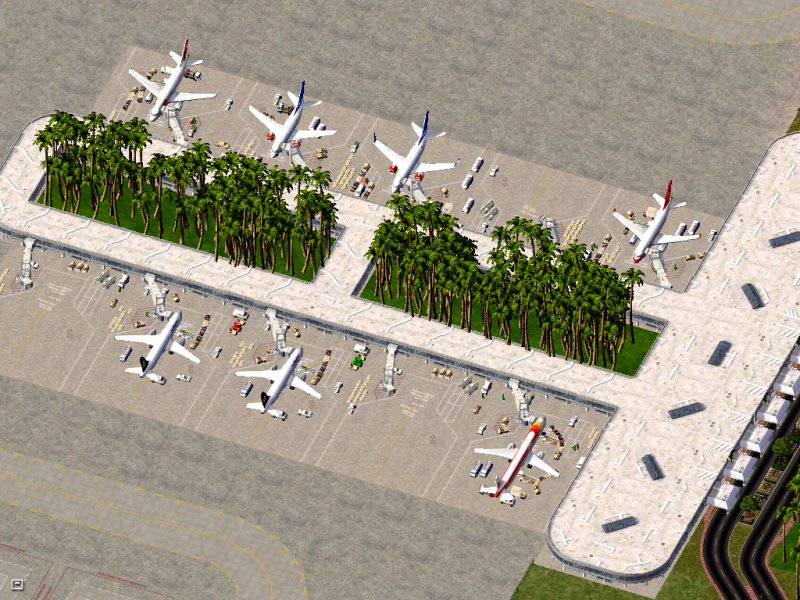 It acts as a hub for flag carrier New Chandler Airways and USA airliner Delta Airlines. Transcendenta is split up neatly into 6 concourses, each one starting with a letter. 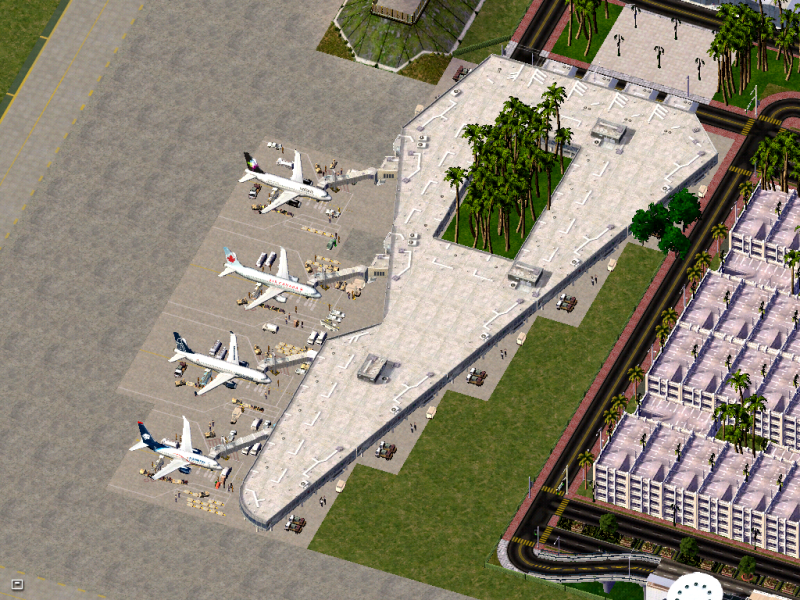 Terminal A is airlines based out of the United States. It was remodeled two years ago. The satellite terminal is connected by underground tunnels; it is also where the security checkpoints are. 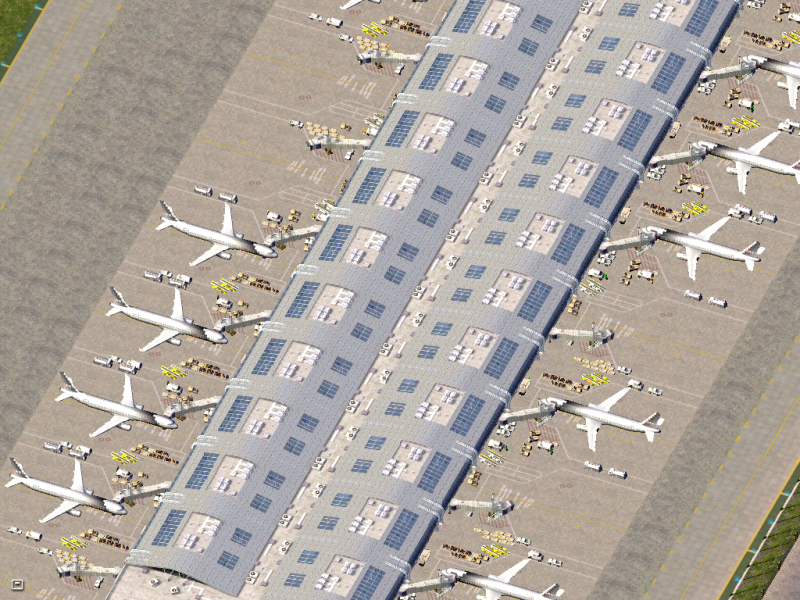 Terminals D and E are Eurpoean and Asian airliners. This is Terminal D.
Terminal F is North America exculding the USA, which is Volaris, Aeromexico, Mexicana, and Air Canada. It is scheduled for an expansion in the near future. 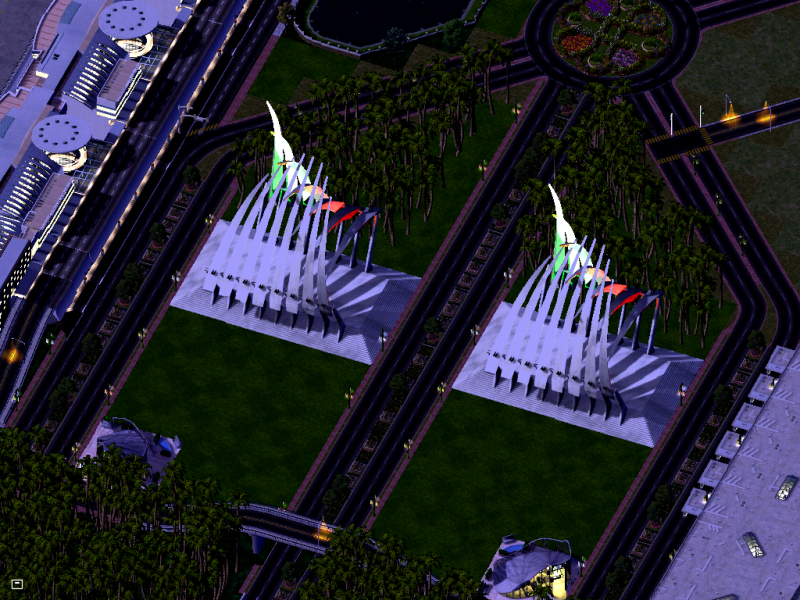 A night picture of the Skygate sculptures, located between the A and D terminals. 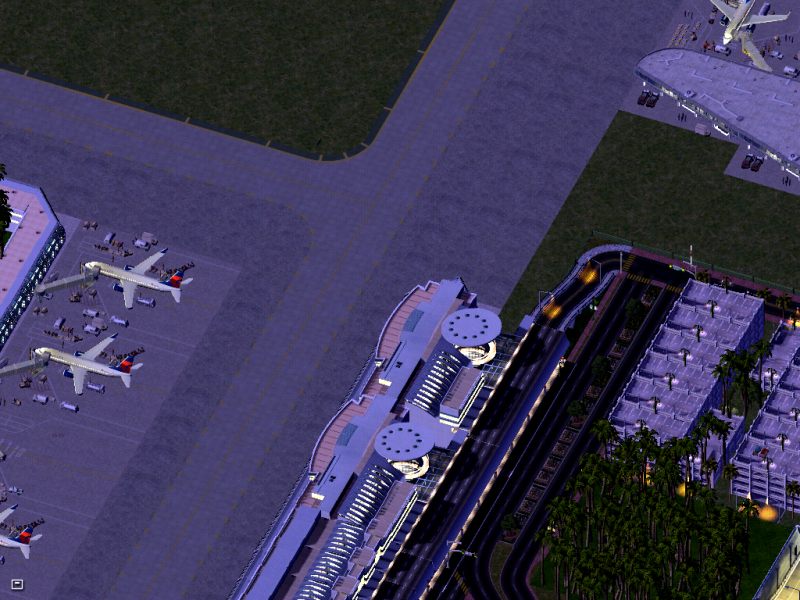 And finally, Terminal D at night. I have got a lot of feedback from my last entry. Thanks to everyone who commented. It really helps having a lot of critique on my first post! Here are my the replies. Jayman8464 (page one): Thanks for the comment; I sure hope your feeling is right! 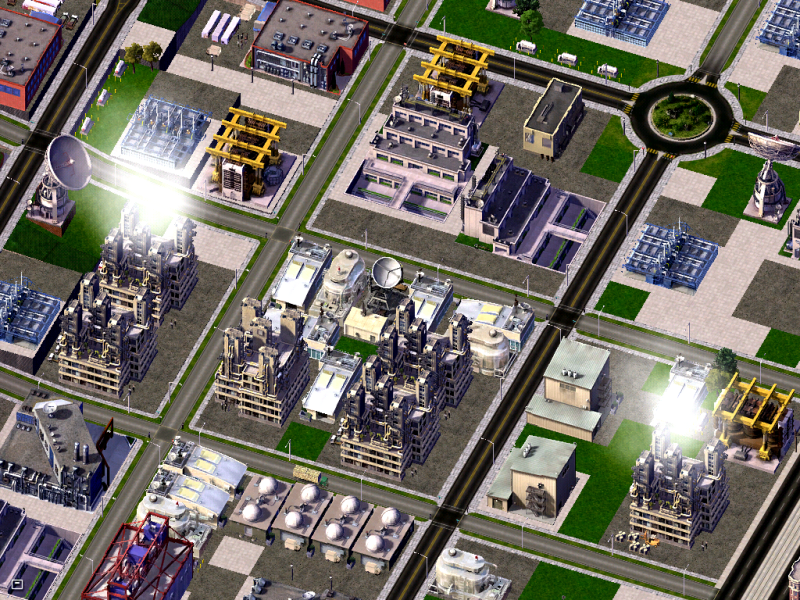 simcityguru: Thanks for the comment! 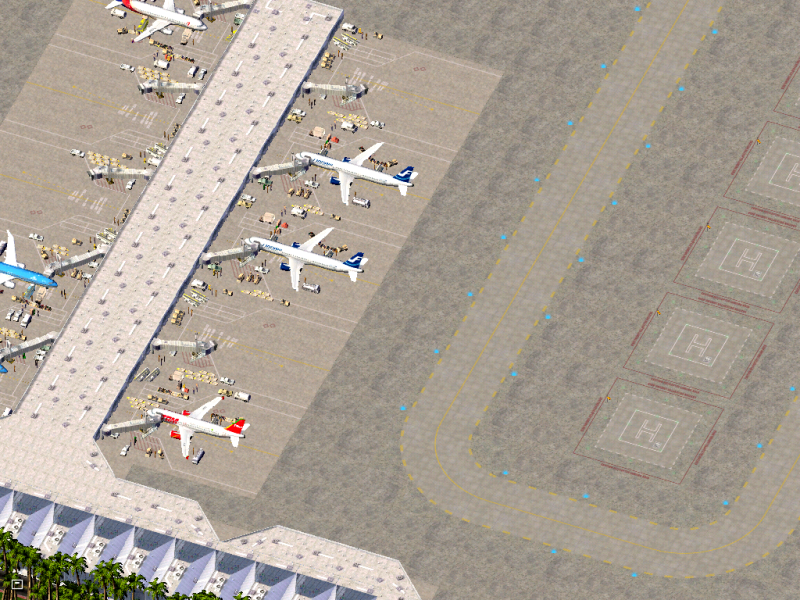 I will try to add a few more empty gates in the future (I was just at JFK, I was used to crowded airports, guess this is a little "too" crowded. Understandable). sepen20: Thanks for stopping by. I do not play Minions by the way. cmdp123789: Thanks for the comment. I do like palm trees a lot (where I live in Portland, Oregon, I don't see them too often!) I am glad you will be following New Chandler! gio10469: Thanks for the comment. 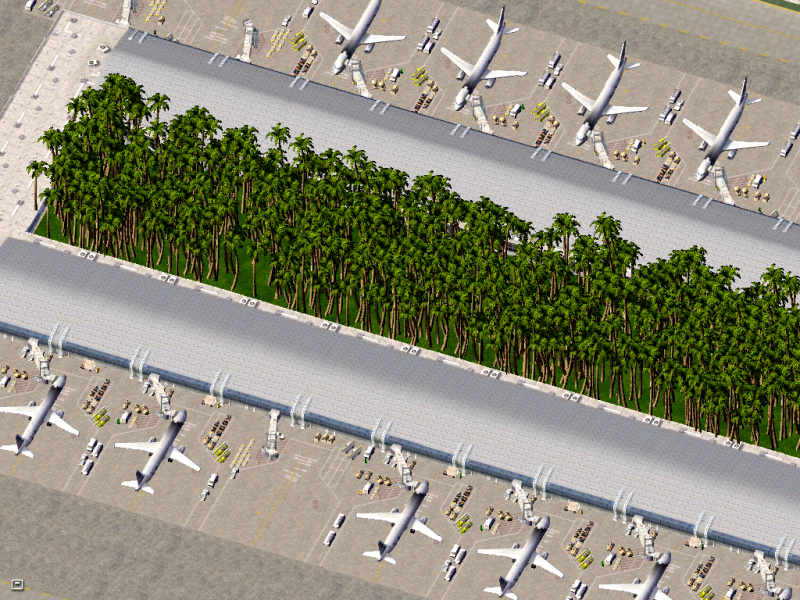 Yeah, that might be a few too many palm trees. Thanks for the advice, you won't see them so dense in the future. wwetom1: Thanks for the comment... As said, there is probably too many. 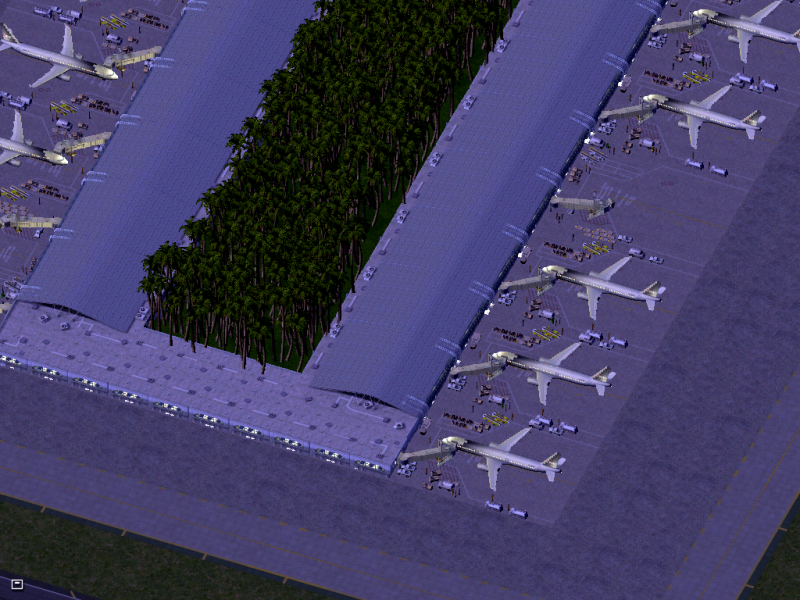 I don't think they are supposed to be sticking through the terminal...! Archean: Thanks for the comment. 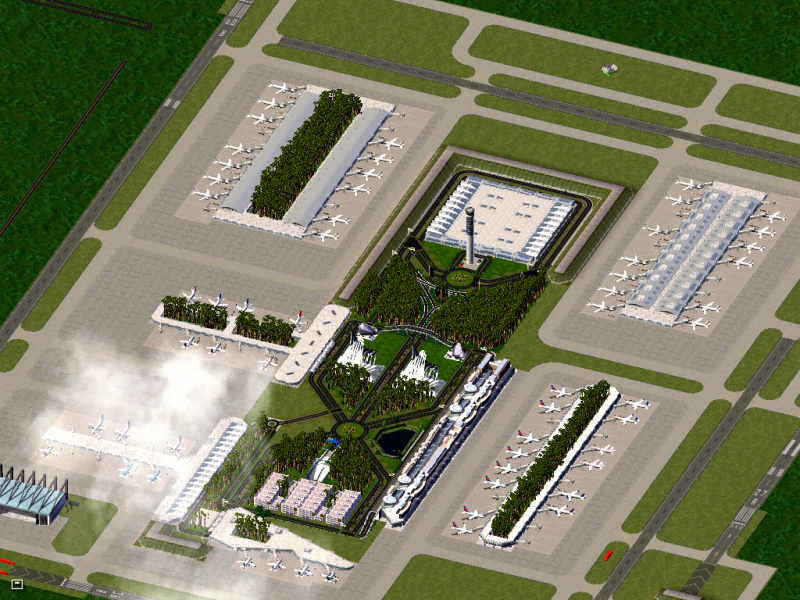 I am glad you liked my idea of introducing the airport first (after all, it would likely be the first thing seen anyway). Wacky32 (first comment): Thanks for the compliment! Glad you liked it. Blakesterville: Thanks for the compliment! I am so pleased I stand out so much to you! Wacky32 (second comment): Thanks for the second compliment. You're a really good fortune teller too just kidding. Mayorm: Thanks for the comment. I am glad it looks so nicely organized through your eyes. I will consider joining the UAR, however, I am still looking at the AIN and SCJU as well. I have some time to think about it, we will see! Greckman: Thanks for the comment (by the way, I am not Baketay, I am still K50 Dude ) I am glad you liked the sculptures and the terminal F.
CSGDesign: Thanks for the comment; glad you liked it! CoastRunner: Thanks for the comment, I am glad you can feel the tropics! Jdenm8: Thanks for the comment, glad you liked it! Western La Brea has a tramway that runs about three miles down the avenues to a large subway hub downtown (the downtown isn't good enough to be shown yet, there is still a lot of open space). 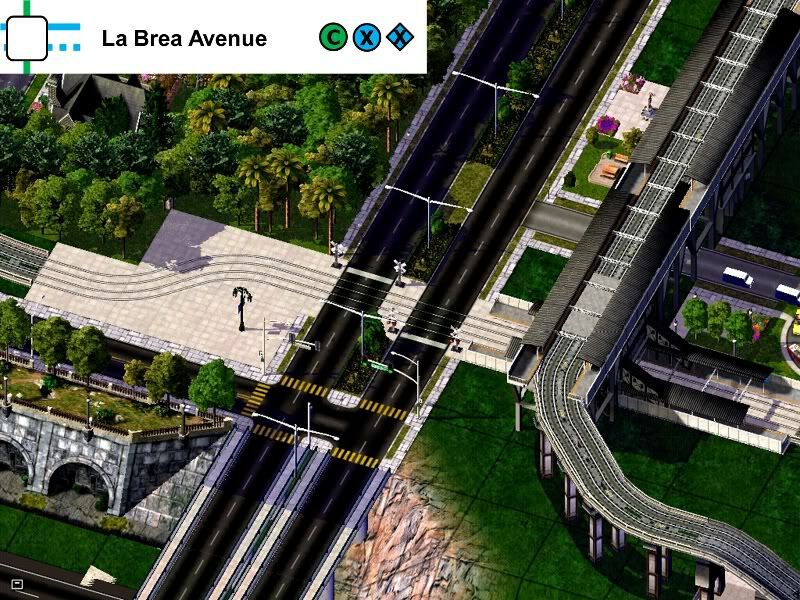 Here you can see the tramway clearly snake through La Brea Community College. Farther south, you see a lot of new homes made out of stucco. These replace older ones out of other materials. 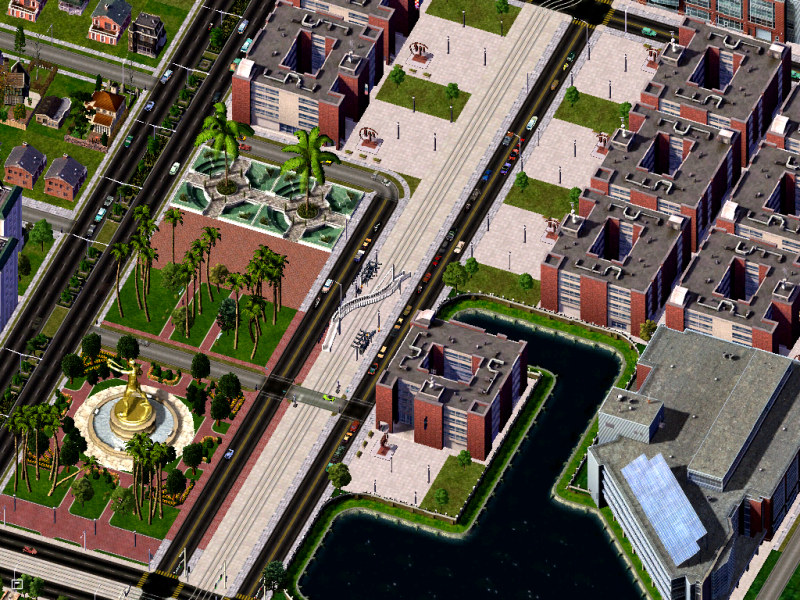 Albert Park, a park which consumes a whole city tile (19x19) in La Brea. The mangrove population here is pretty big. 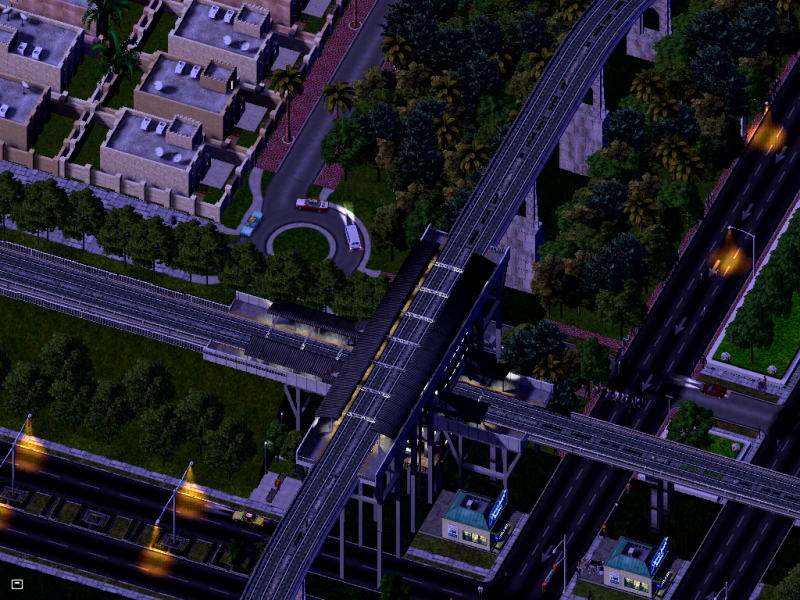 An elevated subway line snakes through the Foothills District of Western La Brea. Some nice condos in the Foothills District. 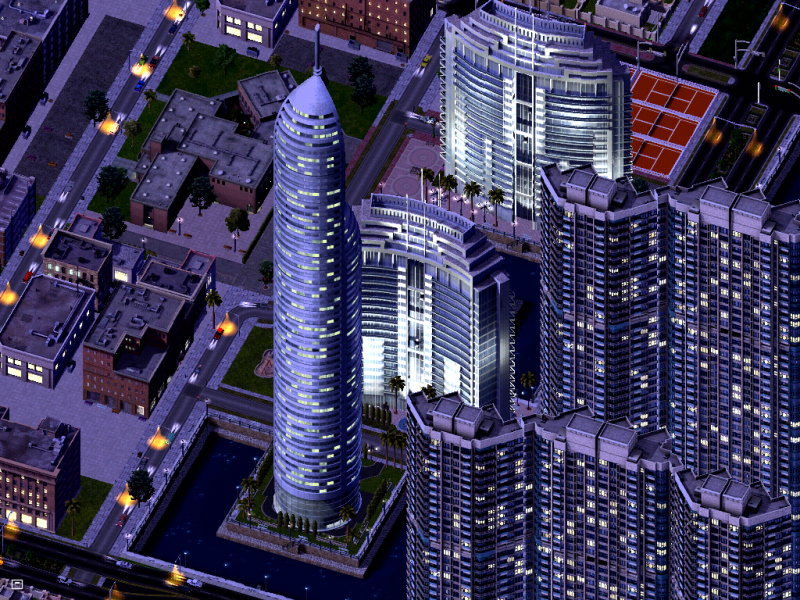 These are relatively new and very energy-efficient, especially compared to the apartments around them. Finally, I leave you with Signal Butte Stadium. 12 comments. Not bad, would have liked more though. I want feedback so I can improve! Also, the files page has been updated with the La Brea Light Rail map, which can be download directly by clicking the link given. (the files page is the one after the introduction). Sepen20: Thanks for the comment, glad you liked it! TowerDude: Thanks for the comment... Welcome to the Jungle (great song by the way, Guns n' Roses sings it). CTMandR: Thanks for the comment, I am glad you will be following the journal. I tried to smash different techniques and even different cultures into a unique blend, glad you liked it! TekindusT: Nice to see you found me! Don't even mention the first update of the Cultan Colony, that was a disaster Glad you agreed that everything worked this time around! Mithrik: Nice to see you as well! Glad you liked everything. I am glad you think this is a top-notch journal as well! Blakeway: Thanks for the comment, glad you liked it! Mayorm: Thanks for the comment. You might see a little more variation in this update. Sorry to dissapoint if I did. dcmetro2834: Thanks for the comment, you do need to keep an eye on this CJ! CoastRunner: Thanks for the comment. You haven't seen the New Chandler Metro yet though, your in for a treat. 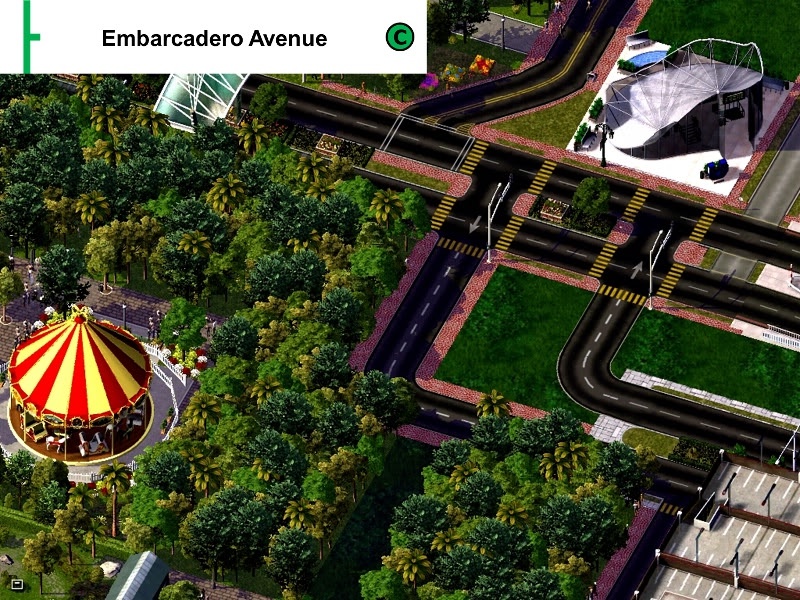 You might have seen that park by the community college (College Park on the LBLR map) last update. I am trying to play around with it trying to find something I like. I can't stand that statue there but it helps building it (you will know what I mean if you have the CAM). 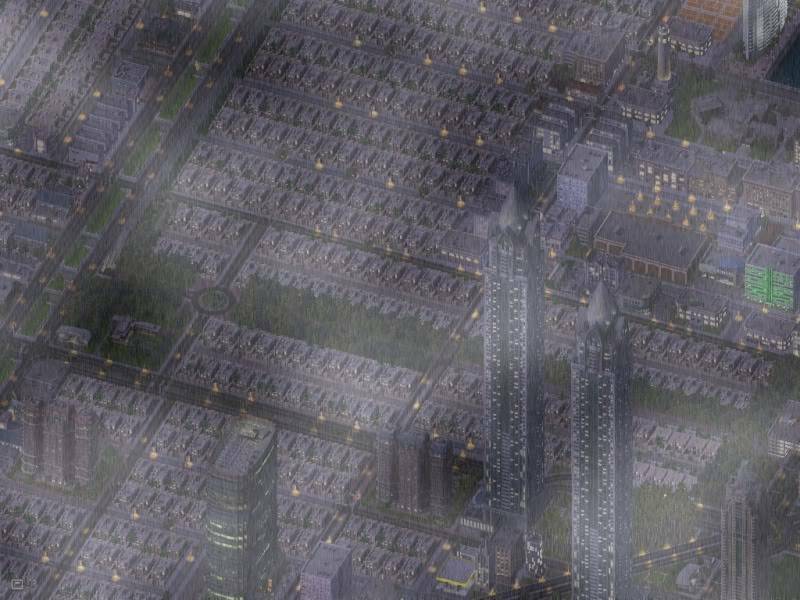 Here is the downtown. It is really not the way I want it yet, I might have to demolish everything in it and start over... we'll see. A big hotel on La Brea Town Lake. On the top of that hill, inspired by Oregon Health Sciences University, is New Chandler Medical University. Like OHSU, NCMU is a surprisingly nice hilltop feature. 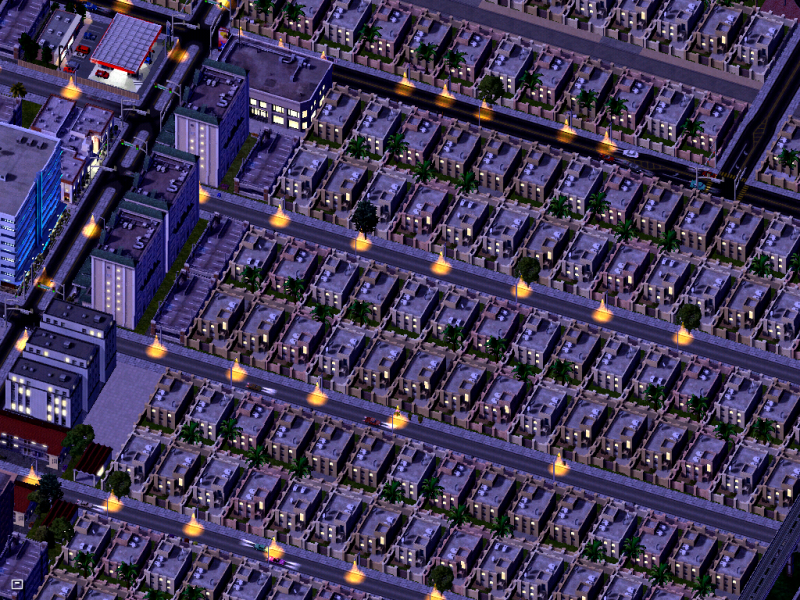 And we end in the suburbs! 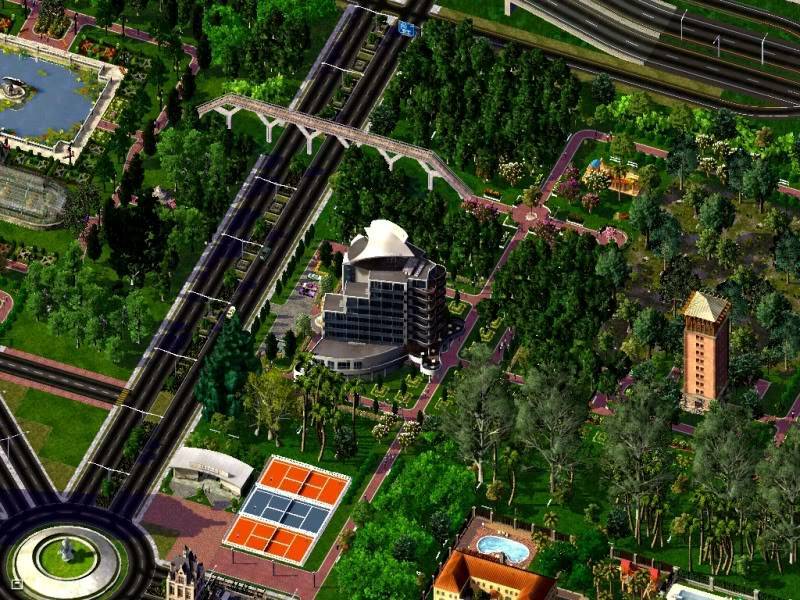 Like the pic with the "ugly maxis buildings" and the way you do the rhw arond the river there, although the 2 roads on the left do puzzle me, is that the only thing you could've done with the river crossing and the rhw? 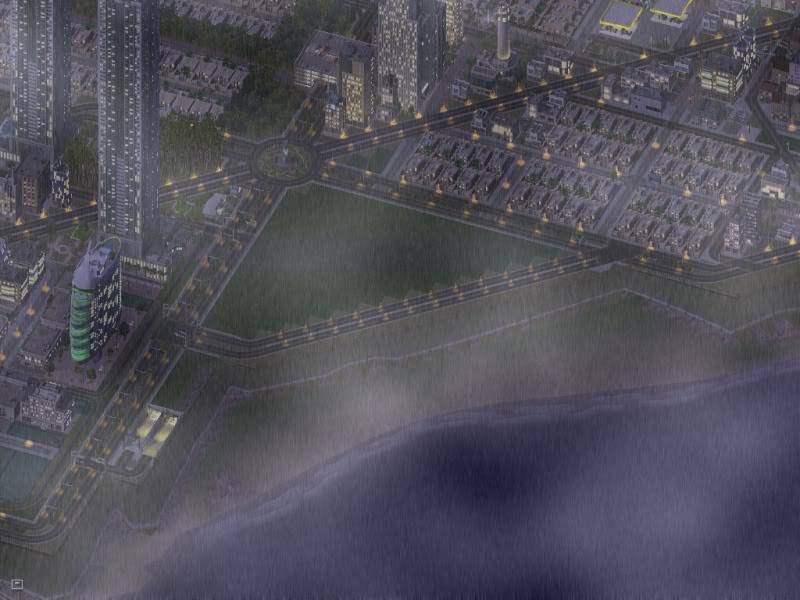 simsamerica wrote: Like the pic with the "ugly maxis buildings" and the way you do the rhw arond the river there, although the 2 roads on the left do puzzle me, is that the only thing you could've done with the river crossing and the rhw? 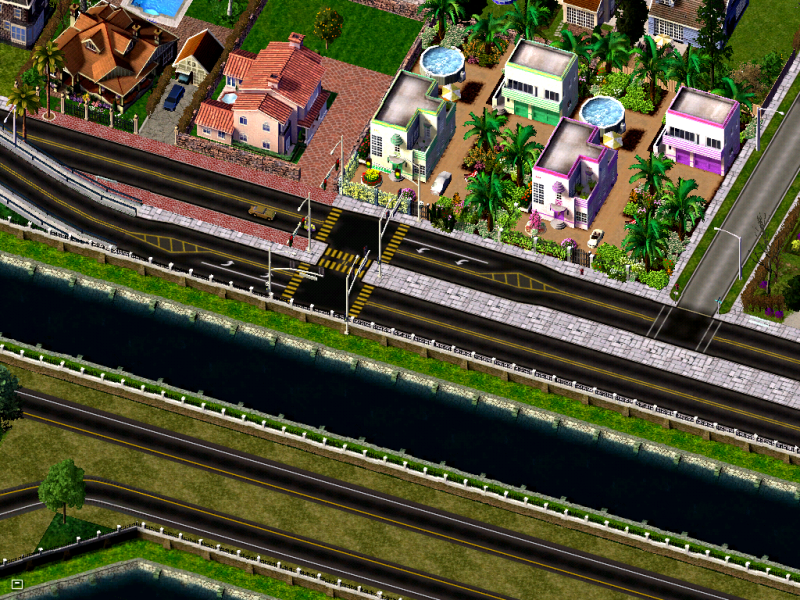 One of the roads (the one on the right) is the main road (part of the 19x19 grid system) and the other one (on the left) is the one serving the houses. Does that make sense? Wait does that one that intersects the house road, is it at a point so that it can't intersect the rhw? I can see that it just seems a little strange to me is all so I was wondering. Wacky32: Thanks for the comment. DCMetro34: Thanks for the comment, I am glad you liked it! sepen20: Thanks for the comment. My computer is really bad (but I am getting a new one soon! Yahoo!) so unfortunatley I can not turn up my graphics anymore than I have. The overlay textures are a different problem I think though, but I can't confirm that (see in CSGforums, CoastRunner's reply, that might answer your question). Mithrik: Thanks for the comment; I am a little confused though, what do you mean by "the hills need to be touched up?" because it sounds a little vague to me. Sorry to hassle you around! wwetom1: Thanks for the comment, I am glad you liked it! 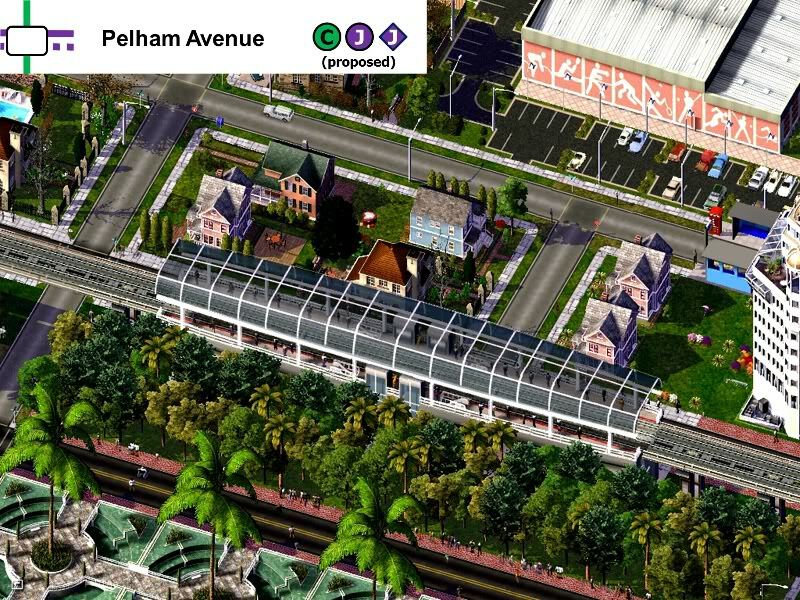 CoastRunner: Thanks for the comment, I am glad you liked the transfer station. Long story: I installed a car lot mod/dependency, and then all of my props and overlay textures dissapeared! Then I uninstalled it (I think) and they are still not there. So yes, they are ugly because they are missing. I am working on fixing that though because it bugs me senseless as well. I can't confirm that's the problem but I am working on it! The nightlife here is popular. Shops remain open a bit later here compared to other places in the world. 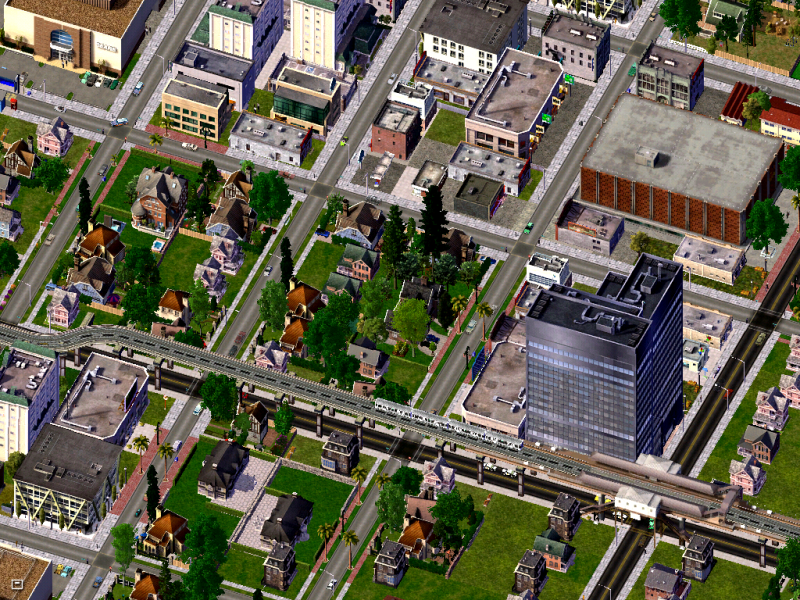 Here is La Brea Avenue and Saturday Avenue (Saturday Avenue was at one point the RHW from the last entry). There is a big transit center here for the New Chandler Metro. The Miracle Mile is a road lined with beautiful new skyscraper apartments and shops, a nice contrast to the rest of this area of town. Although it may look like a nice summer night in La Brea, the rain is just coming down. Mithrik: Thanks for the comment! 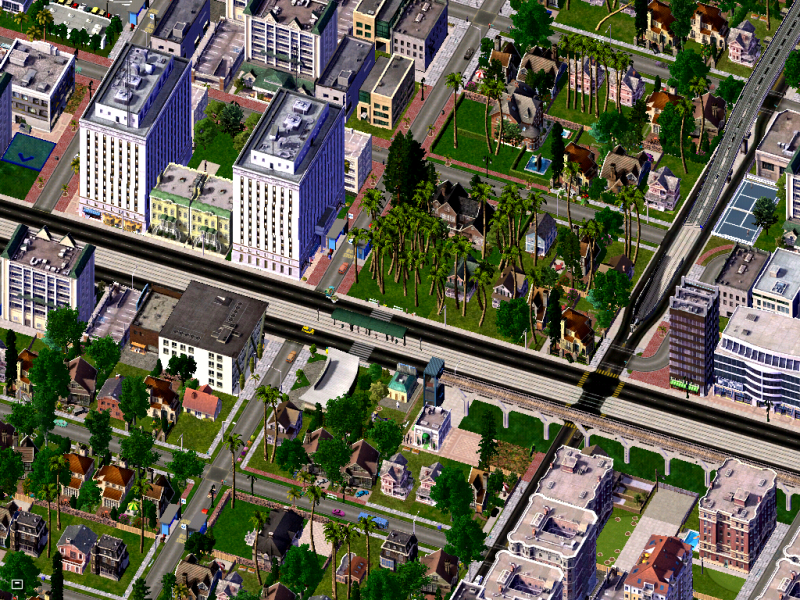 It probably would be the richest part of La Brea, but not the richest part of town. Glad you liked it! wwetom1: Thanks for the comment, I am glad you liked them! Denon333: Thanks for the comment, I am glad you liked it! mayorm: Thanks for the comment. 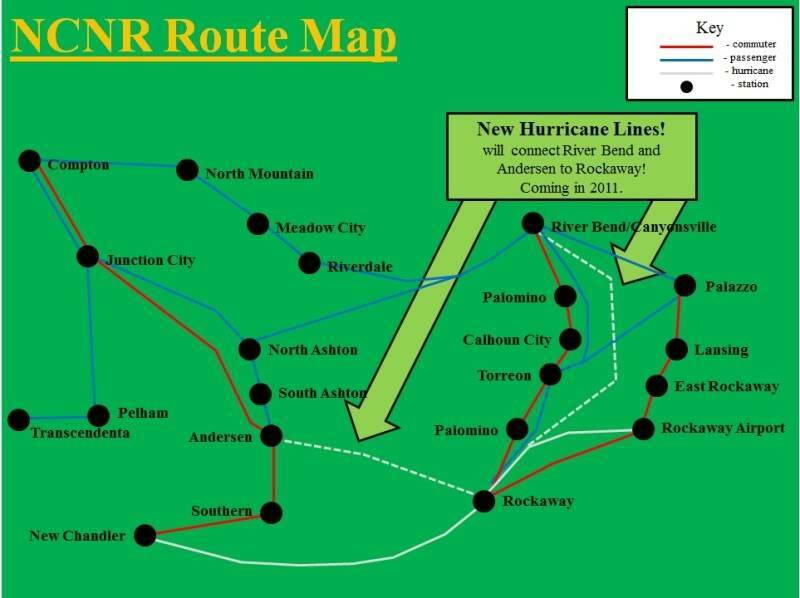 I am still trying to make the rain better.... Saturday Avenue is made up of two OWR-3's which are part of the NWM, to answer your question there. 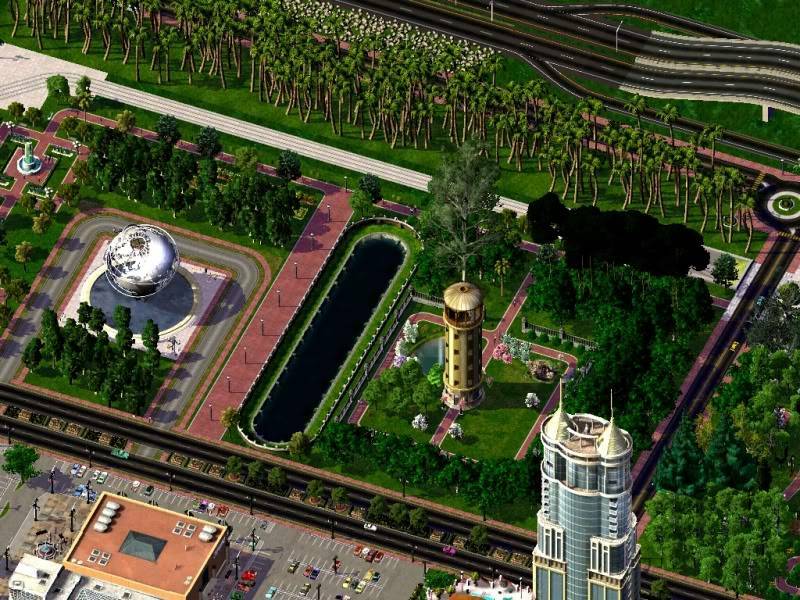 There were NO COMMENTS from Simtropolis Forums or CSGforums. 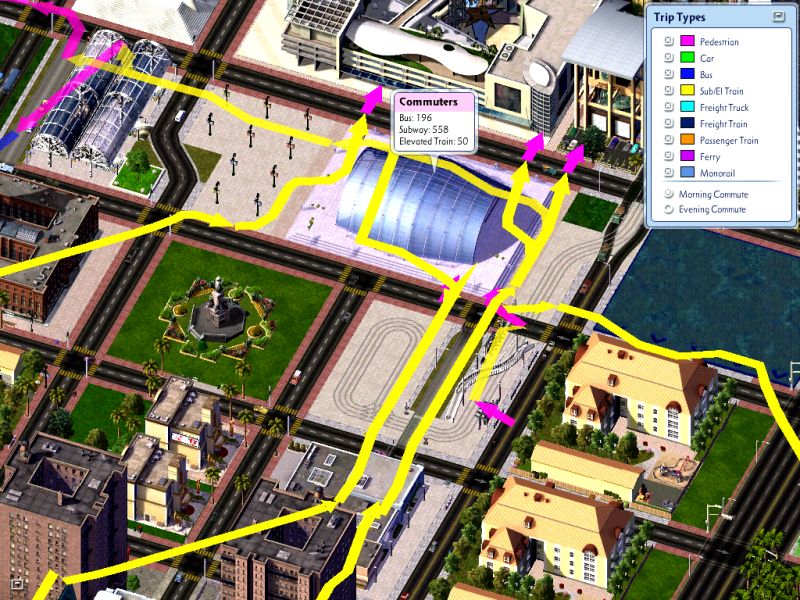 However there were nine comments from Simtropolis Section, so I will start there! -?Maître? – Thanks for the comment, I am glad you liked it! shyguy from SC4D – Thanks for the comment, I am glad you liked it! Samerton – Thanks for the comment, I am glad you liked it! Mithrik – Thanks for the comment! Thanks for the congratulations. I am also glad you liked those night pictures! kolnikov inc – Thanks for the comment. I don’t see what’s wrong with flat after I have worked with a lot of hills… I am aware of the texture conflict, and I am working on fixing that. 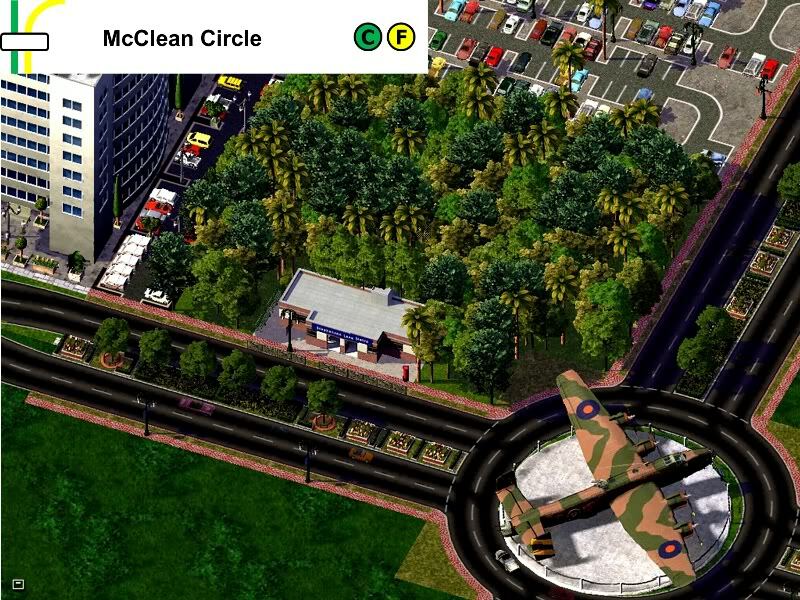 DCMetro34 – Thanks for the comment, I am glad you liked it! mayorm – Thanks for the comment, I am glad you liked them! ComputerGuy: Thanks for the comment, I am glad you liked them! Blakeway: Thanks for the comment, I am glad you liked it! 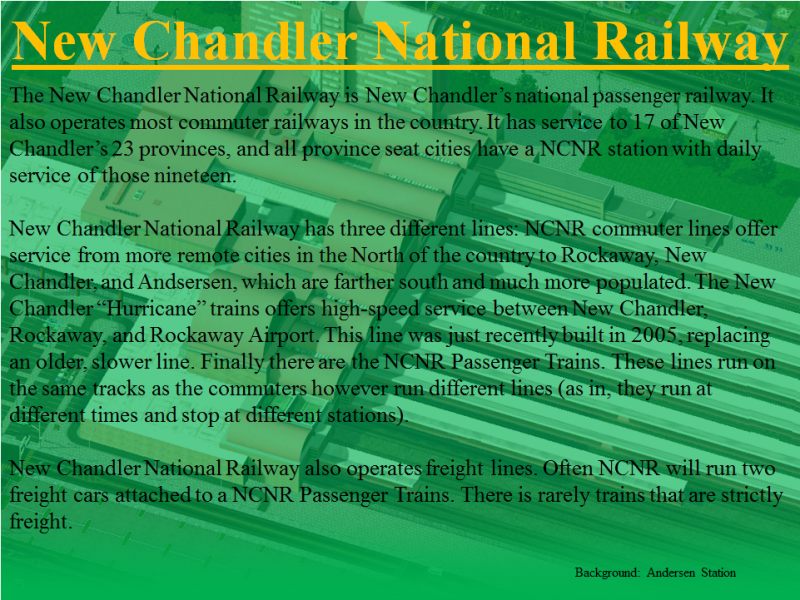 This semi-update is just a little thing I did about the New Chandler National Railway (NCNR). Enjoy! 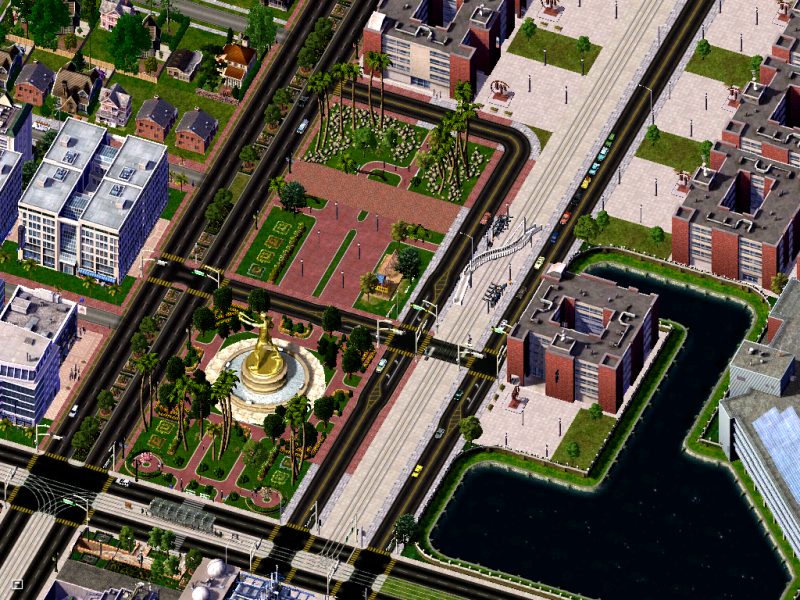 (I am going to make another one soon about New Chandler Bus, but I am going to work on the city first). Mithrik: Thanks for the comment, I am glad you like it! TekindusT: Thanks for the comment, my friend! I just rode the Acela last month (to New York, to rub it in to you more ) so I am in the railroad set of mind. About the two Palomino's, you didn't see anything! (the top one should be Sophanem, the bottom one is still Palomino). sepen77: Thanks for the comment! I am glad you liked it. greckman: Thanks for the comment, I realized that nobody else showed rolling stock much... so I tried it! Glad you liked it. canyonjumper: Thanks for the comment, I am glad you liked it! dcmetro34: Thanks for the comment, I am glad you liked the update. Skimbo: Thanks for the comment. Besides the high-speed, it's a somewhat older system, so thats why most have diesel engines. There were no comments at SimSports. Good news! 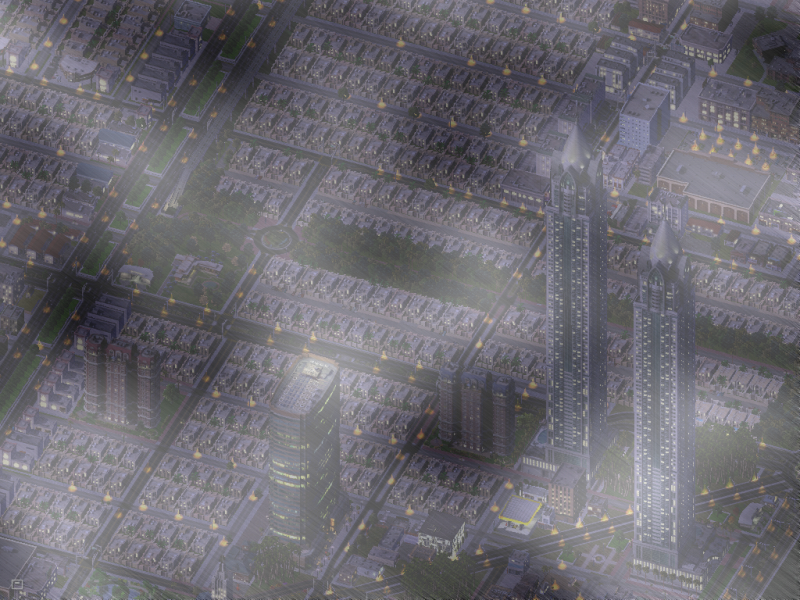 K50 Dude got a new computer, and Windows 7 and Sim City cooperate! More good news, New Chandler is now a junior member of the Alliance of Independent Nations (AIN or AOIN) and the journal will be moving over there as well. Even more good news, I also got Office 2010, which has cooler options for PowerPoint (thats what makes my headers and added text to images) so that will also be more qualitative. Life is good! Parque De La Brea lies in the Spanish District between the Miracle Mile/Plaza Mall and Highway 2. Going between La Brea Avenue and Diagonal Avenue, this park is about 2 and a half blocks, making it the largest park in town besides International Park (which you will see on August 12 during the Torch Relay and Block Party). The park has two towers. This particular tower is the largest, you can see the entire park from the top. The original Fairfax Hotel is located in Parque De La Brea. Many more have been built since this first one (the ISC stayed at one in Winchester during the session). The Botanical Garden is the centerpiece of the park. Surrounded by beautiful, huge trees from the tropics, pathways, and the reflecting pool, you can feel the paradise of New Chandler here like no other place in the country. Trying the blur/focus image thing on this picture. Until I find that dependency, enjoy this small update! Wacky32 wrote: Hey newest AIN member! Please keep comments in my journal related to my journal. If you want to talk about the AIN you can do that here Thanks Wacky! I've never really have seen a full on tropical CJ. Many of your road networks, having one road run through the main trunk, and then a intersection with a ramp breaking off...reminds me of Mexico alot. 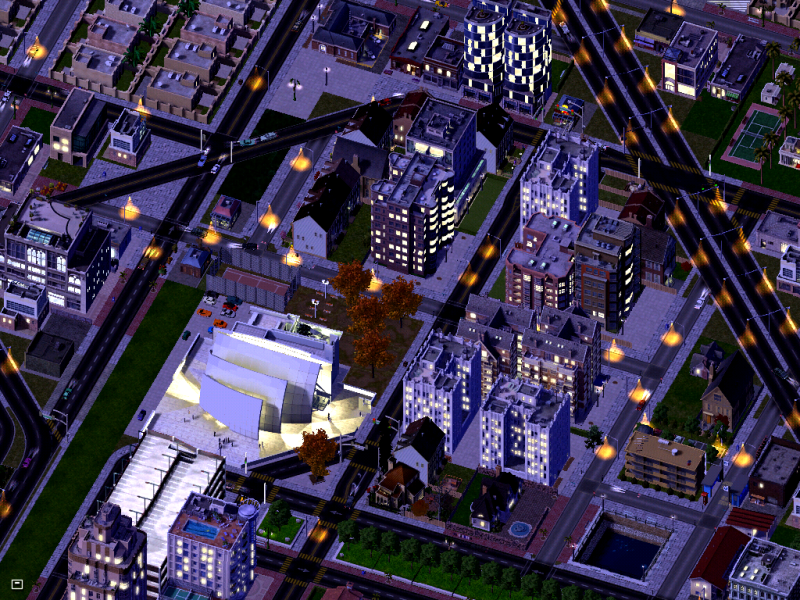 Anyways...I like what I see and as one of the folks over at Simpeg, I too recommend Peg's Oops mod, it does help imo. There is a new item available in the downloads section. Check it out! Until then, I will reply to my comments I got on my last entry. All eighteen of them bear with me here! Sky Guy: Thanks for the comment, I am glad you like it! Liberator444: Thanks for the comment, I am glad you like it! Petrovar Ambassador: Thanks for the comment Peter. I am glad too! Benedict: Thanks for the comment, I am very glad you liked it. Wacky32 (second comment): Thanks for the comment, I am glad you like it. JetShadez66: Thanks for the comment! I have only seen one tropical CJ, so I wanted to try to make one myself. 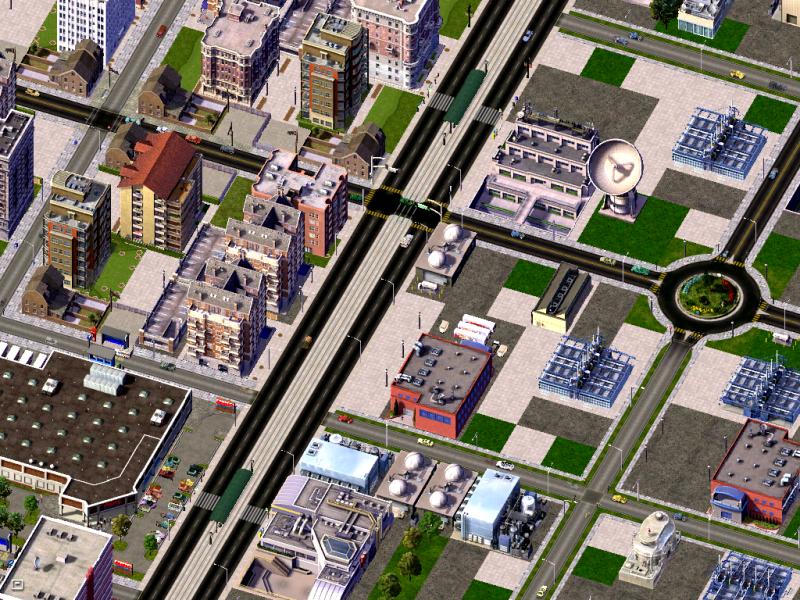 I am glad you like the road networks too. greckman: Thanks for the comment. You better remember New Chandler is made by me sometime soon! sepen77: Thanks for the comment. Welcome to my world. Blakeway: Thanks for the comment Julien! I am glad you liked it. Thanks for the welcome again as well. Forsma: Thanks for the comment, I am glad you like it. woodb3kmaster: Thanks for the comment, I am glad you liked it! 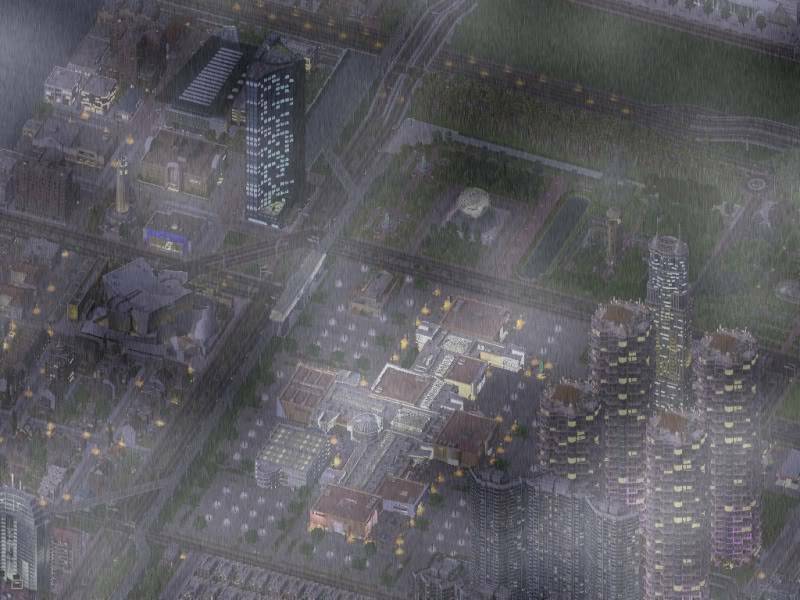 The Miracle Mile, Diagonal Avenue, and Parque De La Brea in the deluge of rain this evening. The other side of the Miracle Mile. 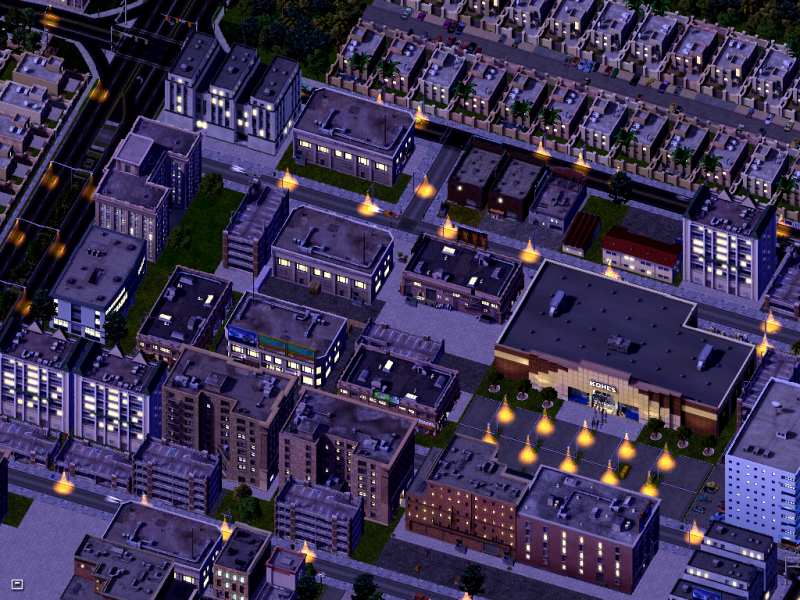 You can see the mall and an office building all lit up. The La Brea Theater, Frank Gehry's contribution to the city, is in the shadows of the skyscrapers nearby. The Dubai Towers always shine through the rain well. Diagonal Avenue, one of the most important roads in East La Brea. 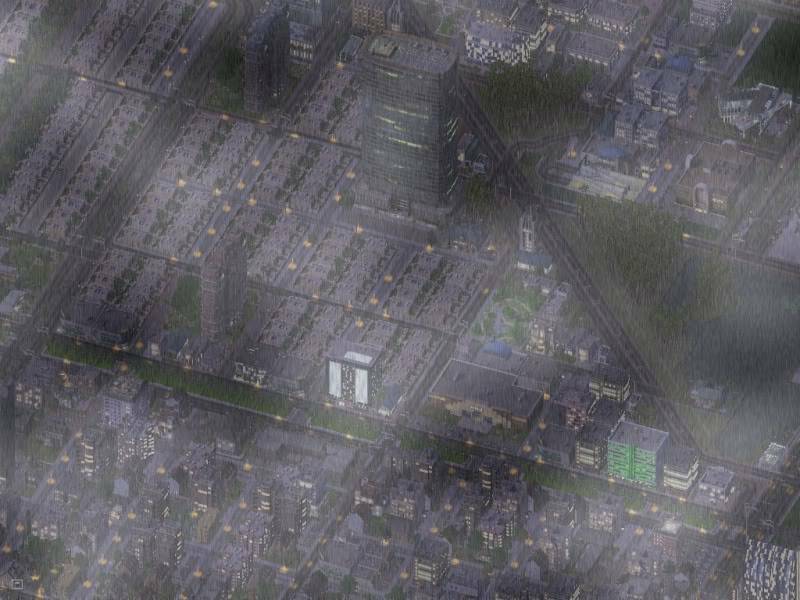 The station shown here on the metro serves 6% of every single worker from all La Brea. Thats nearly 5,000 people per commute! 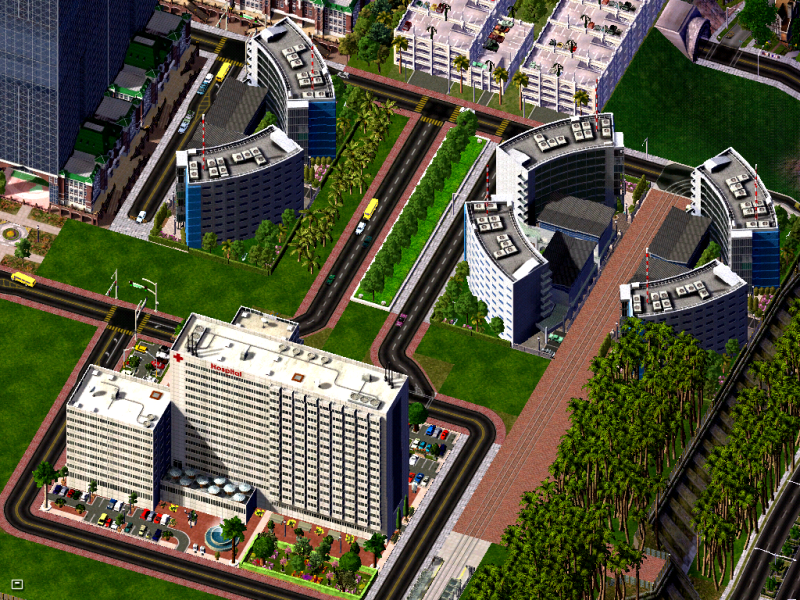 A prospective piece of land next to a metro station, the Dubai Towers, and Diagonal Avenue. hmmm, well, miricle mile, as a name, sounds good but I was thinking some sort of :/ well, East coach beach town area, Panama City, Florida for example, or Myrtle beach. Boardwalk like area, something like that. I got 22 comments! 15 of which also read the directions and voted! 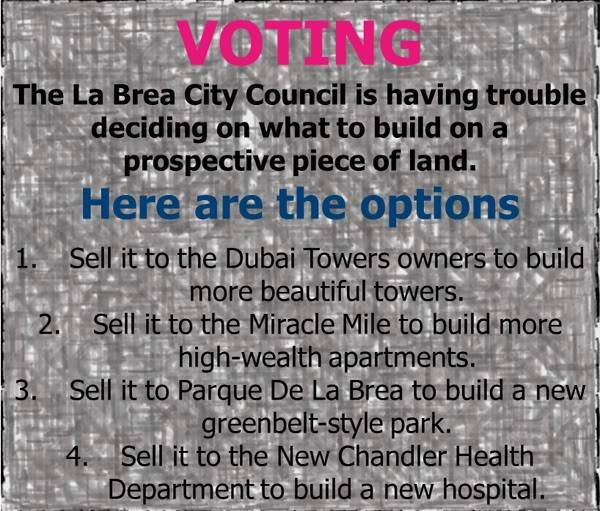 The voting resulted in a staggering 9 votes for the park, 3 for the tower, and 2 for the medical center. Some of you voted twice, so I took the first one In short: A new park is being made in East La Brea! This entry also has voting. It's my biggest yet (17 pictures!) so I hope you enjoy it and VOTE! Julien: Thanks for the comment and for voting, I don't know of any kind of rain mod, I made it on GIMP. Thomas: Thanks for the comment and for voting! Sky Guy: Thanks for the comment and for voting! 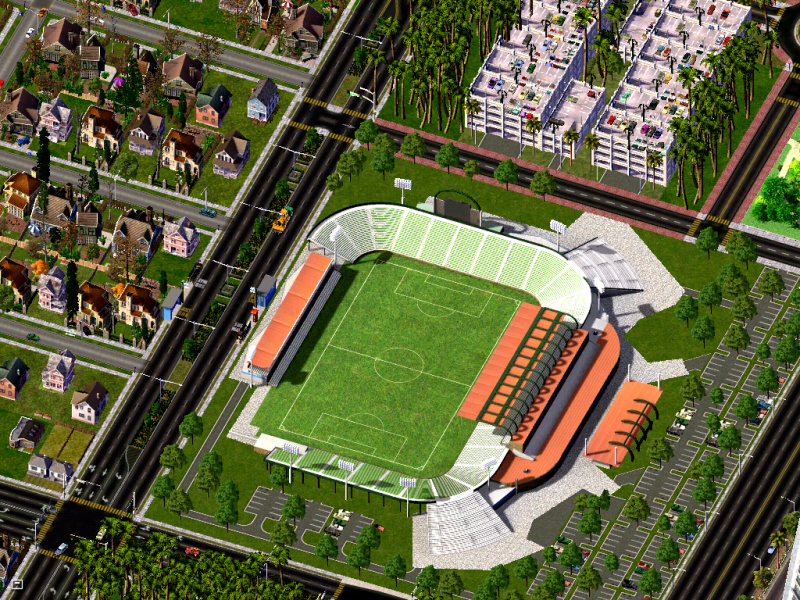 simsamerica: Thanks for the comment. 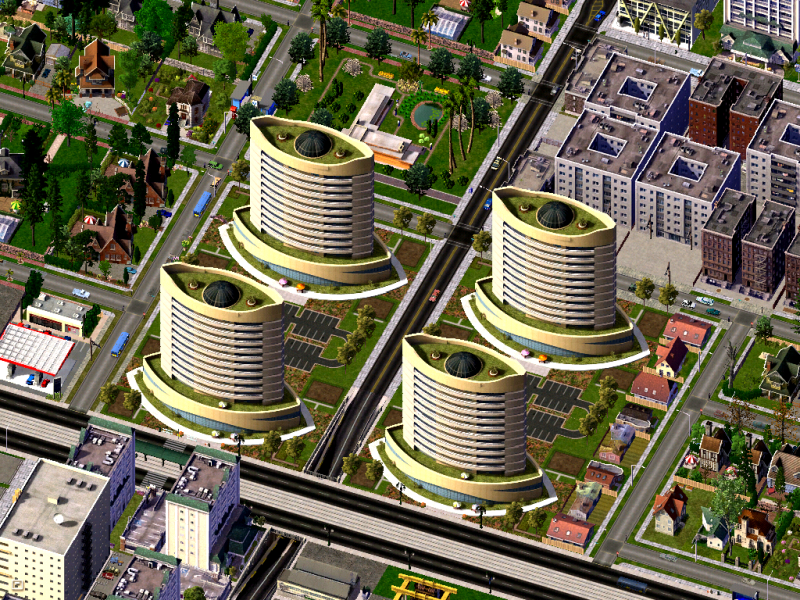 I am trying to make the Miracle Mile a lot of ritzy hotels and apartments and malls. Kind of like Las Vegas Boulevard. Mithrik (first): Thanks for the comment and for voting, yes, it's back! 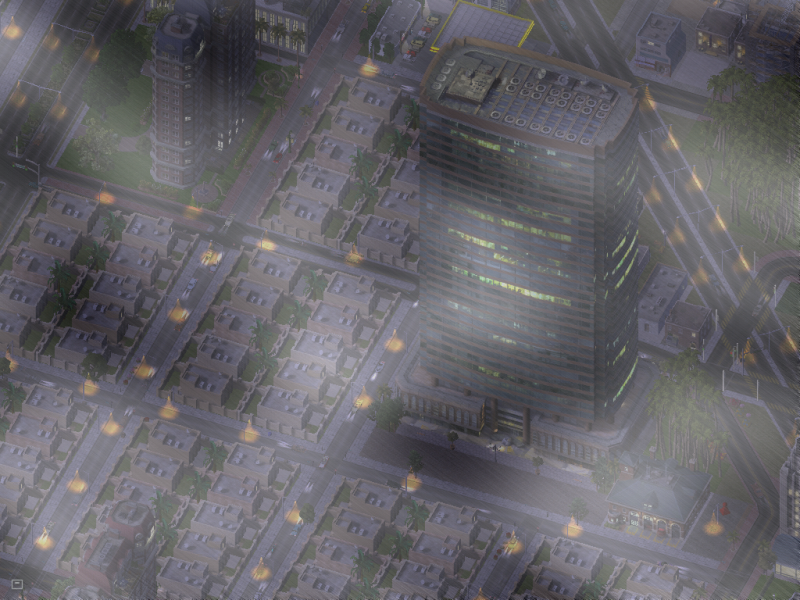 I like the rain effects much better now as well, but I am still playing with the settings a bit. sepen20 (third): so you triple posted too? You should be punished! TowerDude: Thanks for the comment and for voting! 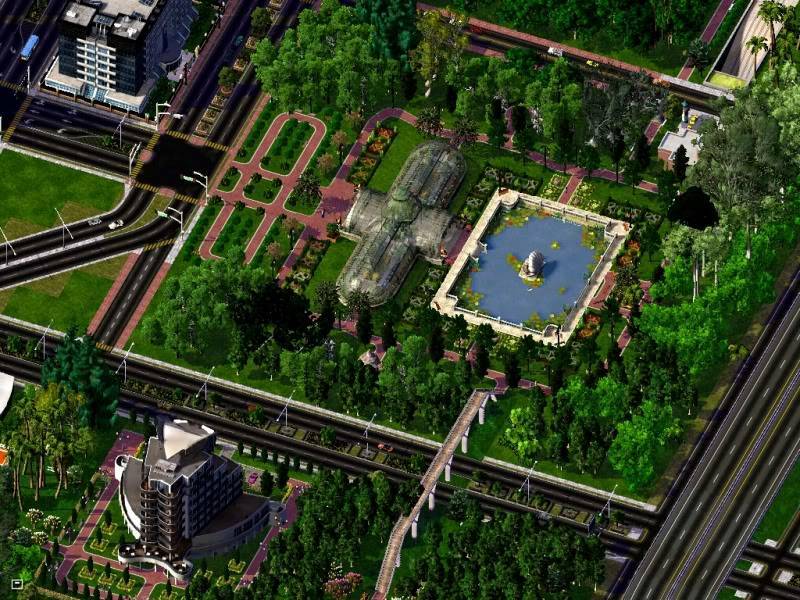 Adrianor: Thanks for the comment and for voting, I am glad you like my parks! Daan300: Thanks for the comment and for voting! skimberdu: Thanks for the compliment. Props to me! wwetom1: Thanks for the comment and for voting! antershire: Thanks for the comment and for voting. I try to give my journal that special tropical vibe. I will admit, it's kind of tough when you live on the 46TH parrell! greckman: If you call me baketay again... wait, you got it right! 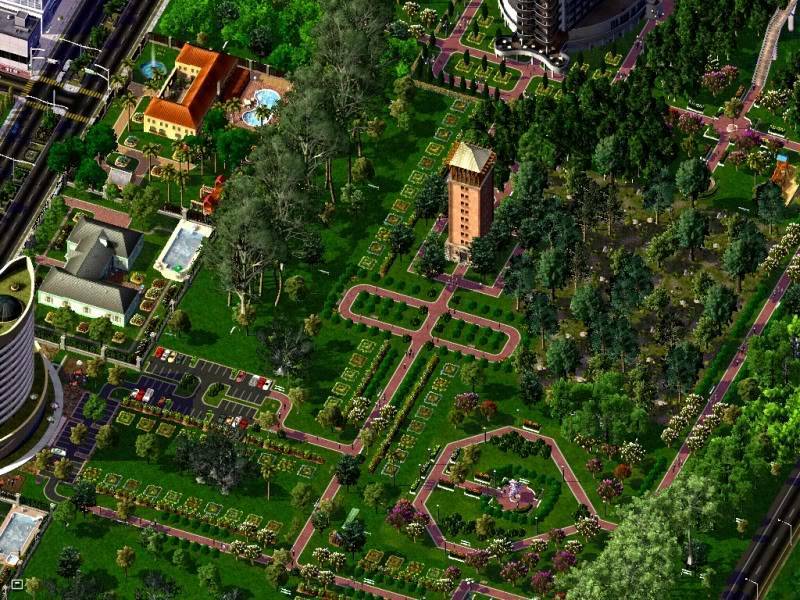 ;D Thanks for the comment and for voting, I am glad you liked my parks. sepen77: Thanks for the comment and for voting. It's okay, just don't do it again I'll take the vote here! canyonjumper: Thanks for the comment and for voting, I am glad you liked it! We are taking a ride through Roseburgh and Winchester. The C line continues much farther than this, however, I haven't built the rest of it yet This is where we are going today. 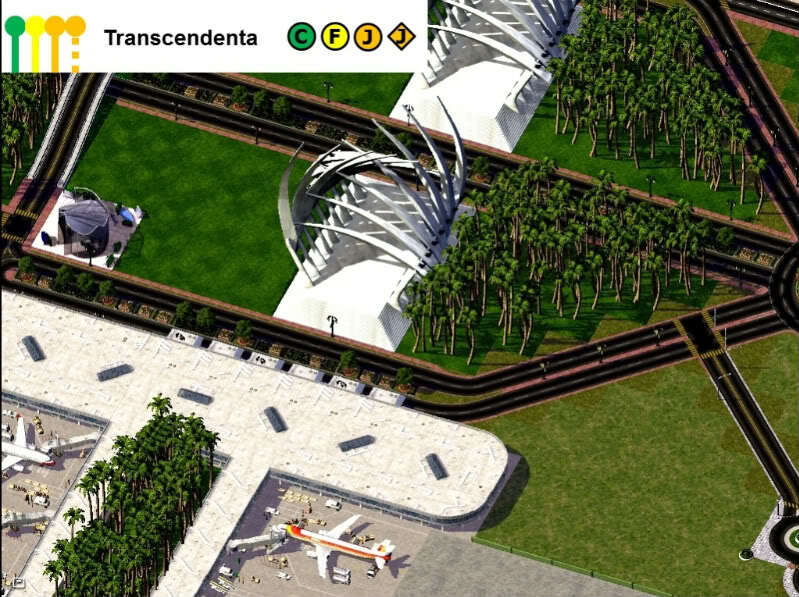 Transcendenta Airport stations must be walked to from terminals A, D, E, and F. Underground tunnels connect it to terminals B and C.
Just outside of the airport is McClean Circle. This area is obviously under construction The F line leaves the C line here. We are staying on the C line though. La Brea Avenue. This is the same road that extends down to Parque De La Brea, more than a large city tile away You may have seen the X line there, it goes here as well. The C line is below the X line at this station. 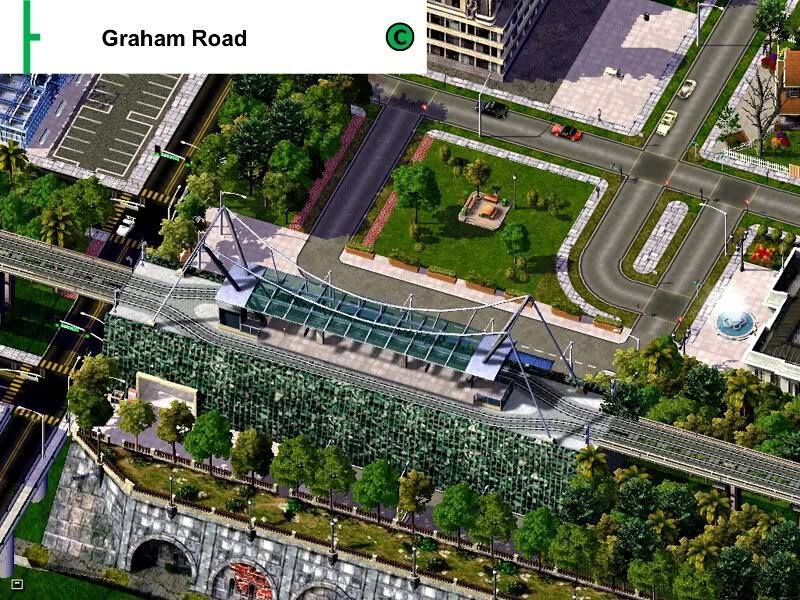 Graham Road station is by the old courthouse. 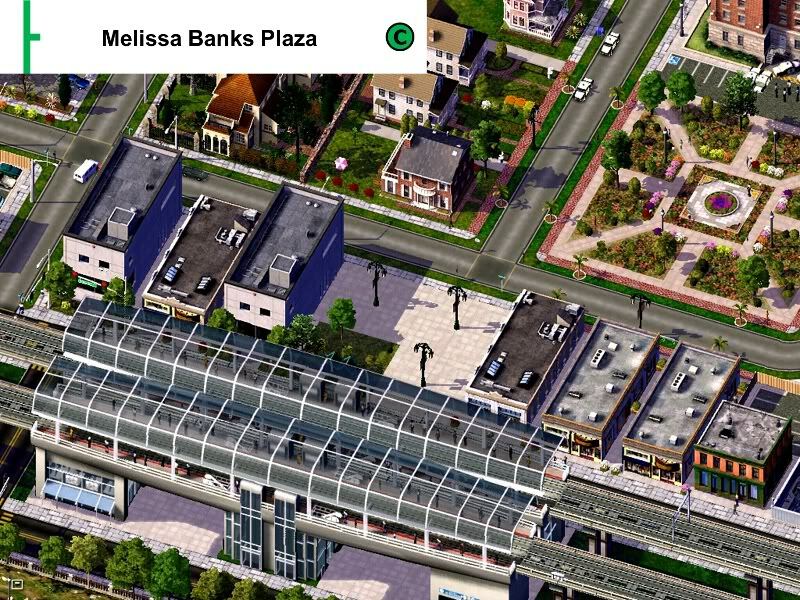 Melissa Banks Plaza. Melissa Banks was the first female supreme court judge in the New Chandler government. Pelham Avenue is by the Roseburgh Convention Center, where the ISC session was held. 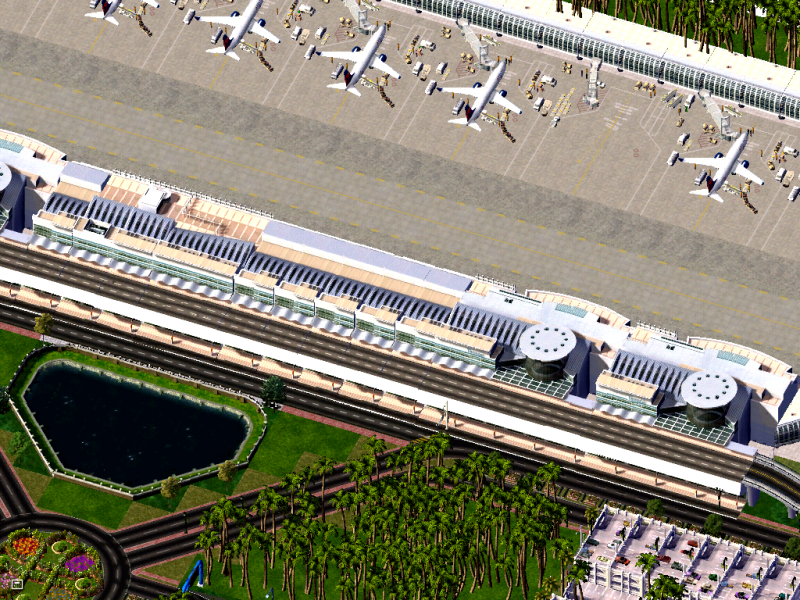 A proposed line would be built under this station if it will ever be built. On the other side of the Western River is Winchester. 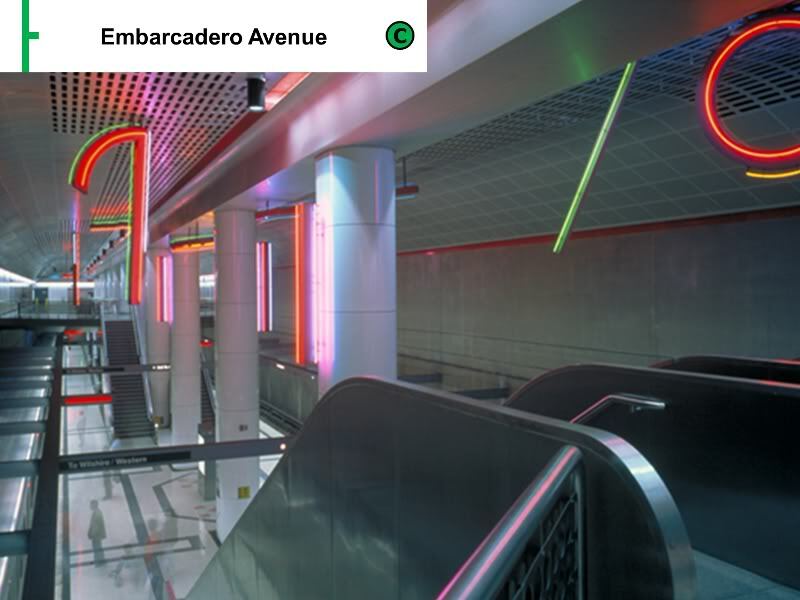 The first station is Embarcadero Avenue. Embarcadero Avenue was made handicap-accessible in 1989. 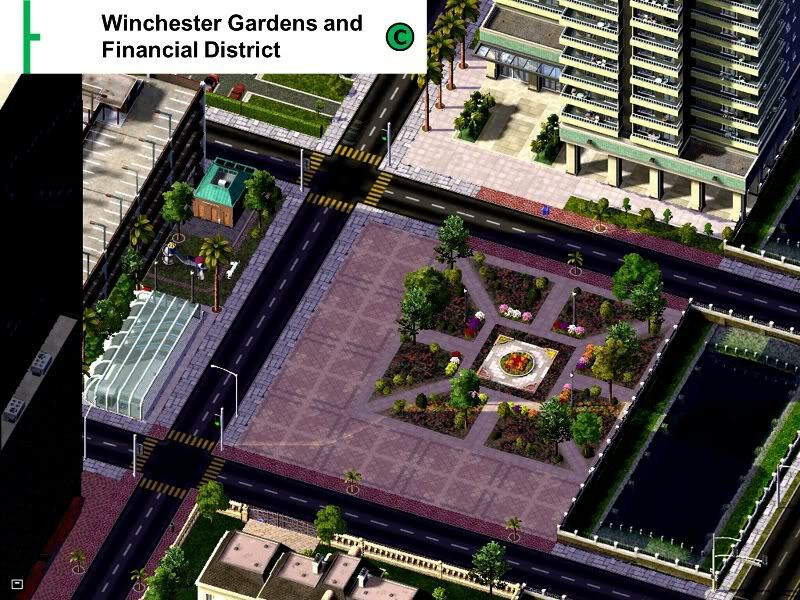 Winchester Justice Center (another undeveloped area around it). Like the other stations in and around Downtown Winchester, it is not handicap accessible. Thats a voting topic today, so keep riding! North Downtown Winchester is another older station in a newer neighborhood. North New Chandler University and South Downtown Winchester share the oldest station in Winchester. This one is crumbling every day it rains, and the tracks are a dust storm. It really needs to be bypassed sooner than later. Out of downtown now, and into Durham Circle. This station is newer than the others and does have an elevator serving the platform. 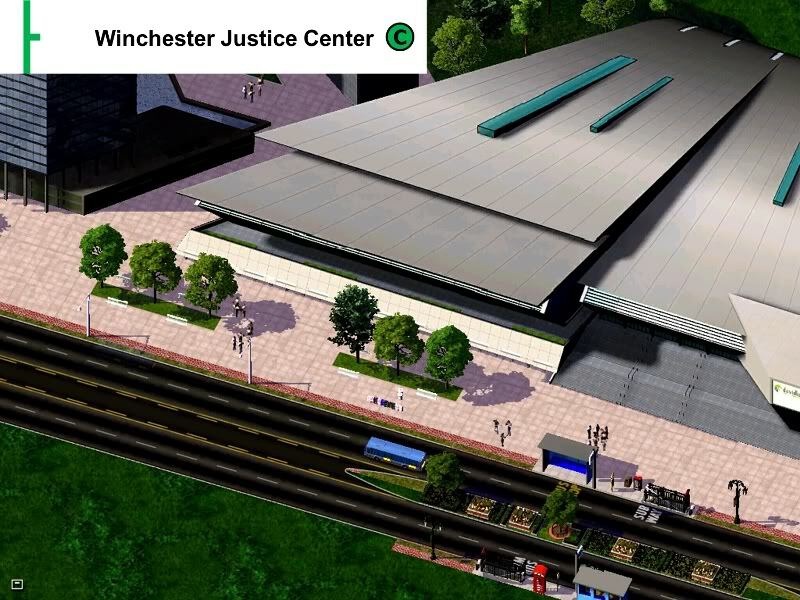 To end todays journey is Andersen/Ashton/Winchester Gateway station. 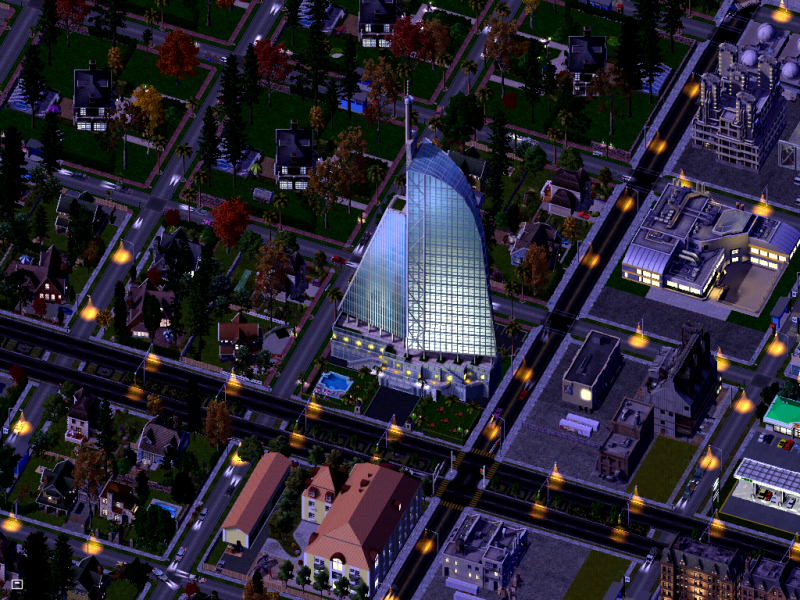 Located in a corner where these three cities meet, it is very quaint and old. It also doesn't have an elevator serving any of the four tracks. Oh dear. That ends the ride today. 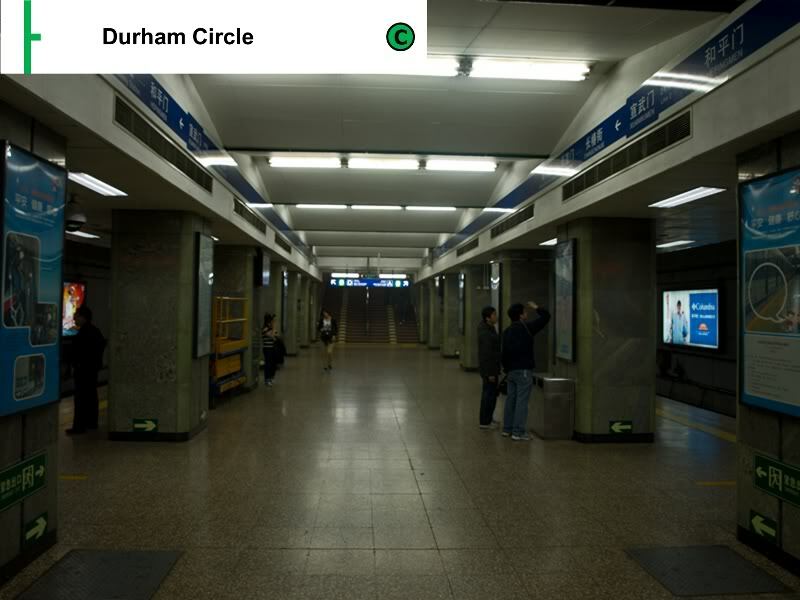 You obviously saw some pretty old stations that need a replacement. So, THIS IS WHERE YOU SHOULD VOTE! It would be very expensive to replace the five stations (Gateway, Financial, NNCU, NDW, WJC) that need replacements, however, many need it. Join the senate session and make a vote! 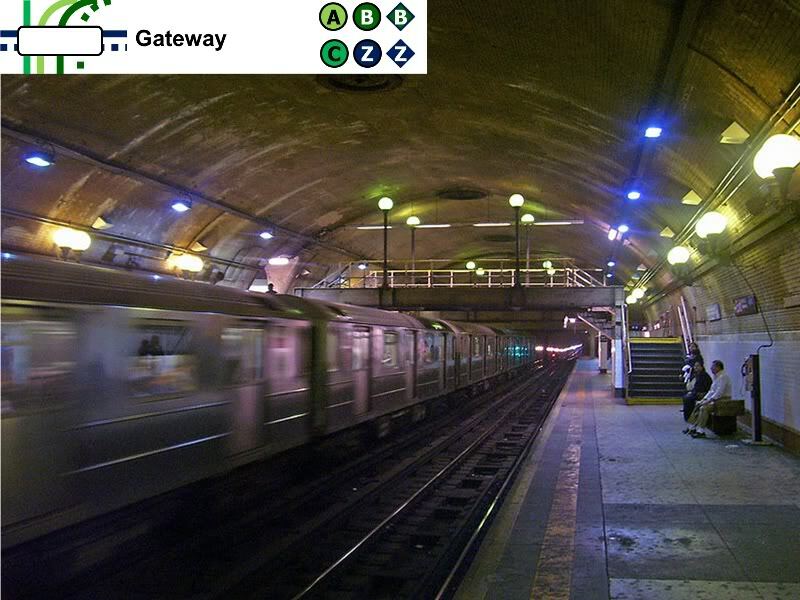 Option 1 - Replace Gateway. 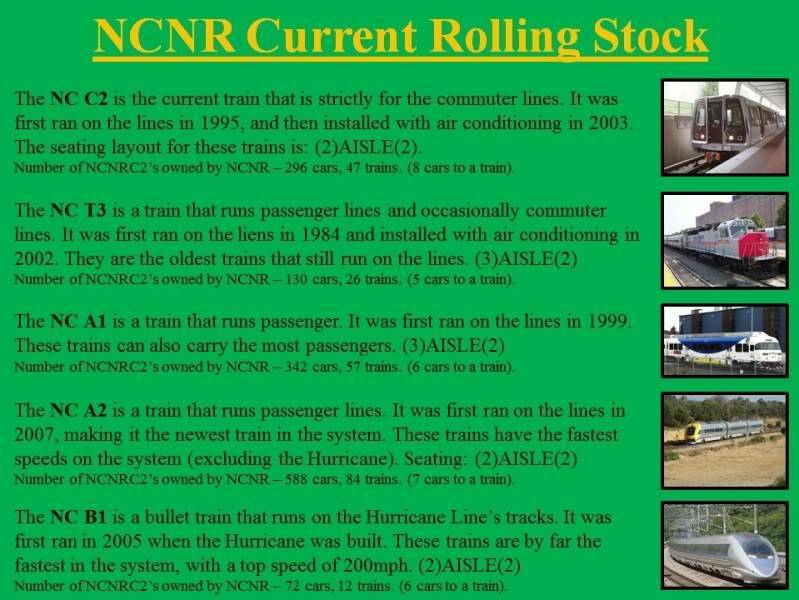 It is the most important and most traveled on the line, it should certainly be changed! Option 2 - Replace the other four. They serve the city center, for goodness sakes, the ought to have elevators! Option 3 - Replace all five. The whole line needs to be sophisticated, duh! Option 4 - Don't replace any. It's a tough economy, we don't need to go on a spending spree just yet! 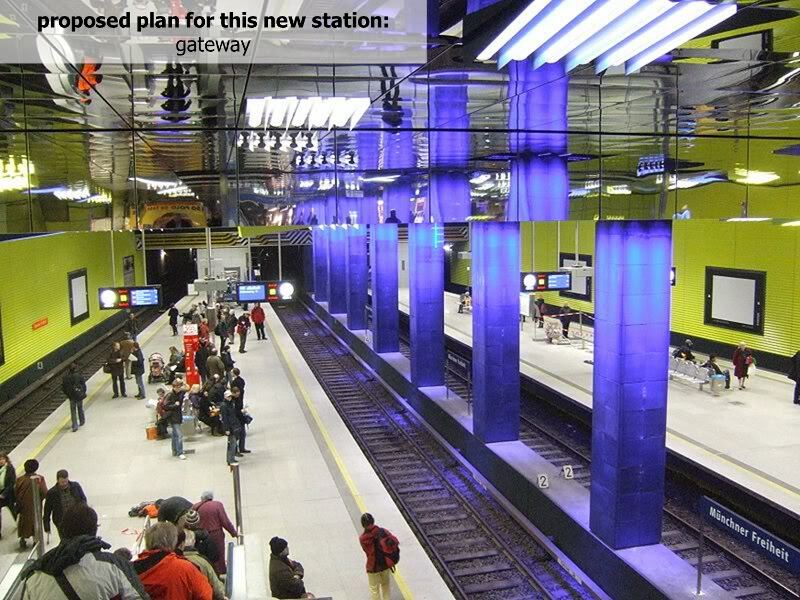 Here are the plans for the new Gateway station! 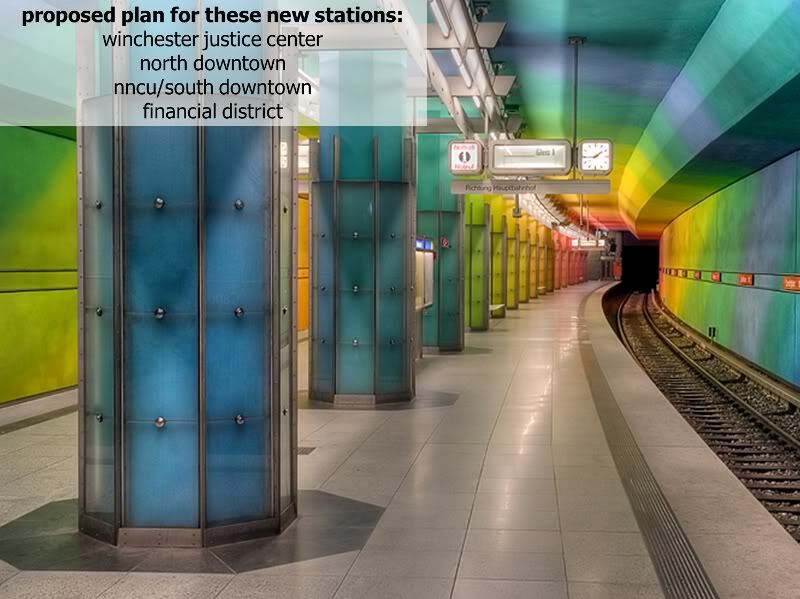 Here are the plans for the other stations! 3, 2, 1, 4 my order. I think that it needs a map though or did I miss a map at some other point?